A trip to the Greek islands hadn’t been part of the plan for 2010 – with interesting and untested ships to sail on across the rest of Southern Europe together with a whole host expected to be in their final seasons, the domestic Greek scene, for once, didn’t seem a priority. 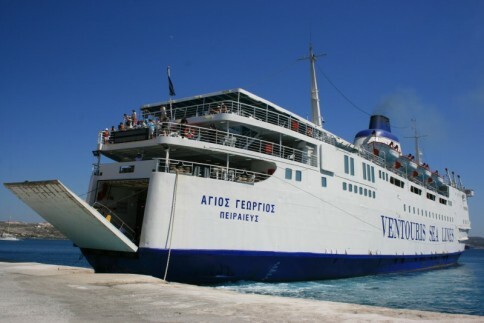 However, the cancellation of a short cruise on the Island Escape (ex-Scandinavia) in mid-November led to a quick search for alternatives and a five night trip to Greece, out of season, suddenly became very attractive. 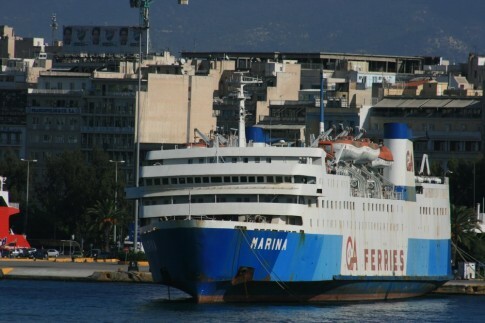 Initial plans to focus on the more interesting ex-Japanese tonnage now in operation were partly scuppered by the recent collision with Piraeus’ Northern breakwater (and subsequent absence from service) of Hellenic Seaways’ Nissos Rodos (ex-Kiso) and by ANEK pulling their Lissos (ex-Ferry Hamanasu) from her sailings to the North Aegean. In the event however it turned out to be a remarkably successful short visit – in many ways, the aforementioned scheduling problems apart, the timing was completely fortuitous: each day was sunny and with none of the strong winds that often lead to Greek domestic cancellations. 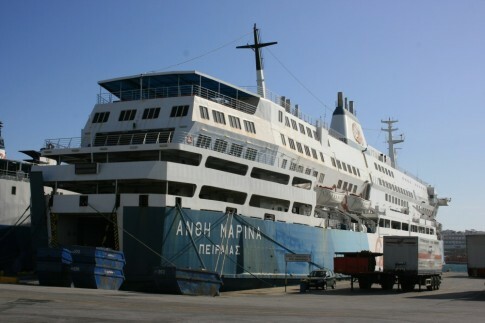 Meanwhile we just missed the 24 hour (later extended to 72 hours+) strike of Greek seafarers which commenced on Tuesday the 23rd – on the European Express from Chios we were one of the last overnight ships arriving into Piraeus that day, actually berthing an hour or so after the official start of the industrial action. 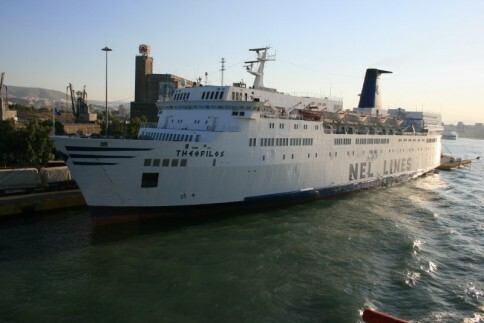 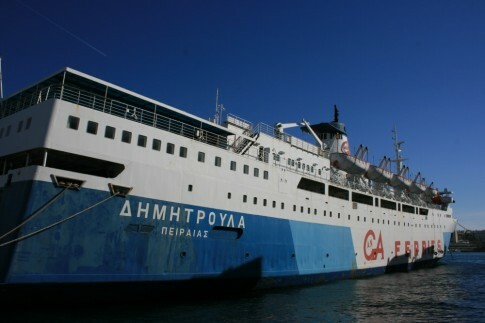 The most notable difference being in Piraeus and its surrounding areas in November compared to the peak season is the large number of normally operational ships laid up – both those in seasonal use (mostly fast craft and cruise ships) or those which happened to be out of service for their annual refits. 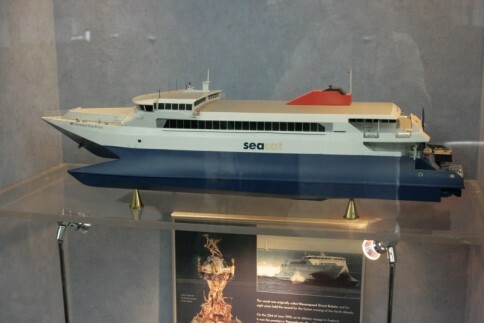 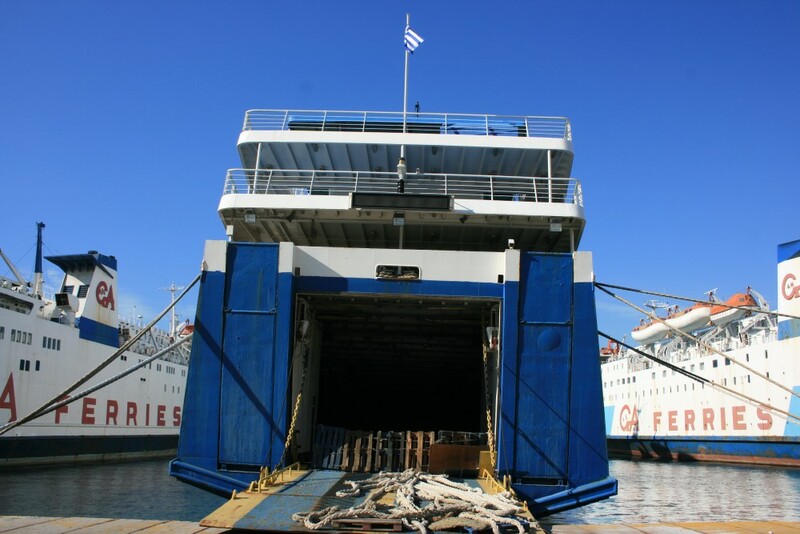 In addition, there remain the ships of GA Ferries and SAOS, operators whose financial troubles have forced them largely out of business. 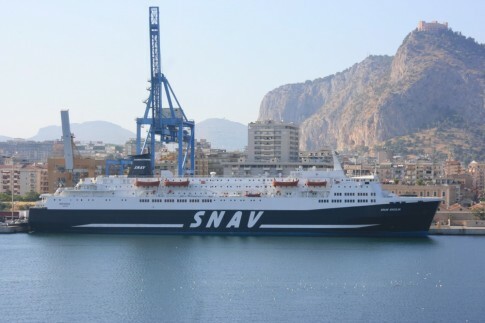 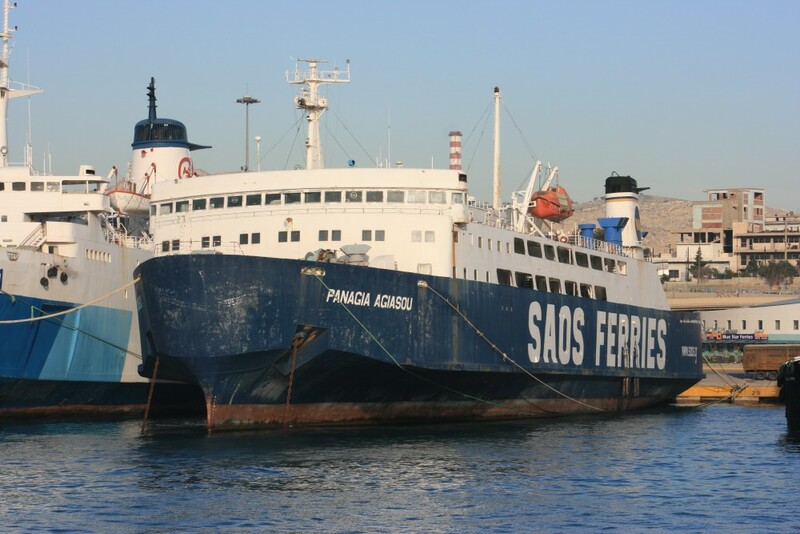 Whilst the SAOS fleet is dispersed across the country, with only their Panagia Agiasou laid up in Piraeus outer harbour, the ships of GA’s passenger fleet can all be found locally – five in the inner harbour and three more adjacent to the ‘Agiasou’. Other than the fast craft Jet Ferry 1 all have recently been offered for sale by the harbour authority which, in one of the less attractive pitches to prospective purchasers, describes them as “dangerous and harmful”. 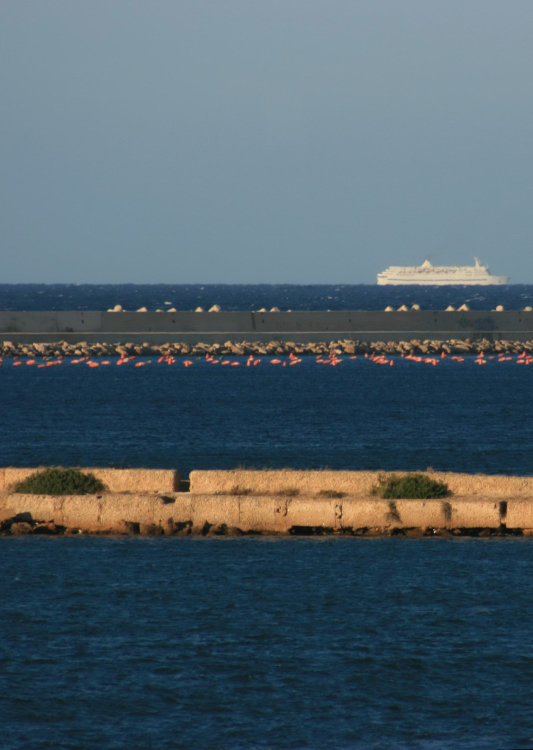 I will add more pictures from this trip in due course but for starters here are some of those GA ships and their long-term SAOS co-resident. 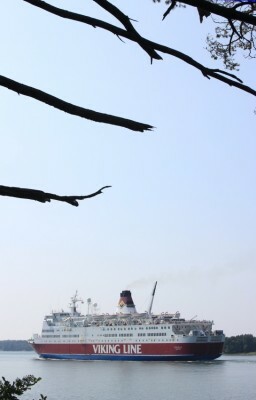 For the record, the title of this entry is perhaps slightly misleading – the ships aren’t entirely abandoned and it seems that one ship in each of the two batches has at least one watchman on duty with the Rodanthi and Anthi Marina serving as their respective basecamps. 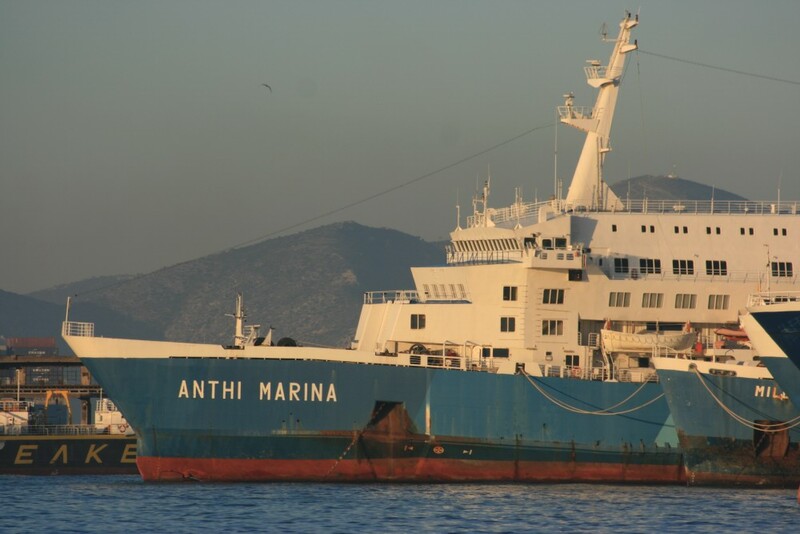 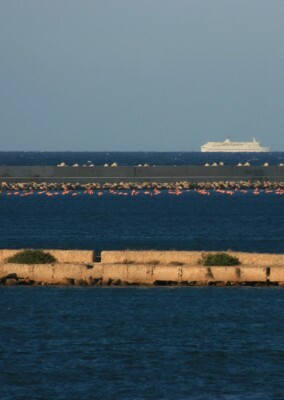 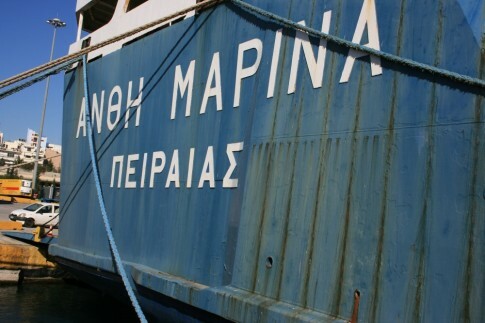 In the outer harbour, adjacent to the current berths of the Blue Star Rhodes and Crete ships can be found the Anthi Marina (ex-Spirit of Free Enterprise/Pride of Kent), Milena (ex-Ferry Gold), Dimitroula (ex-Verga) and SAOS's Panagia Agiasou (ex-Hakata). From a distance the Anthi Marina doesn't look that bad given her two years laid up. Up close she is rather more decrepit - although still by far the most likely of GA Ferries' conventional ships to see any further service. 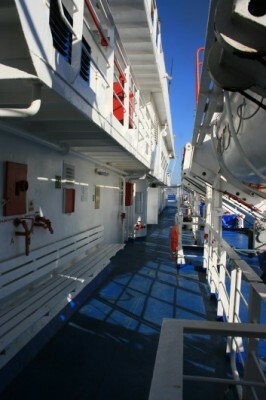 A few more images of this ship will be posted in the next week or so. 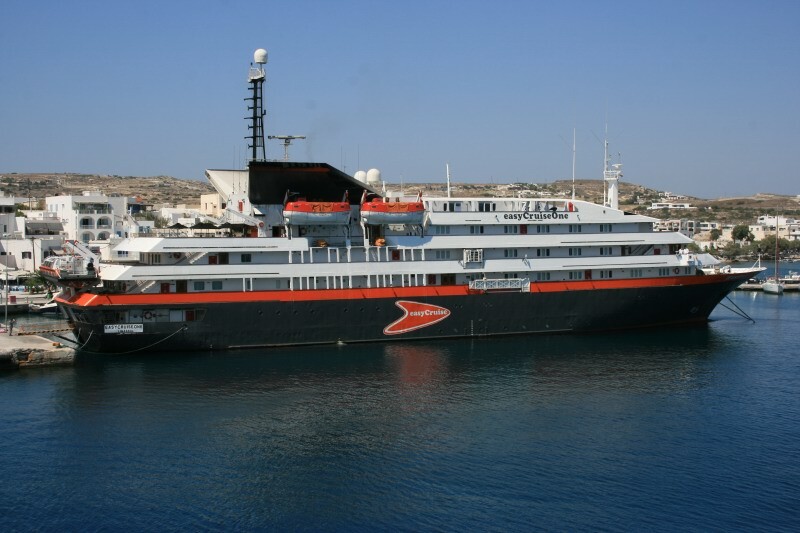 The Dimitroula was originally one of Tirrenia's eight-strong 'Poeti' class - indeed she was the last of the eight ship-class. 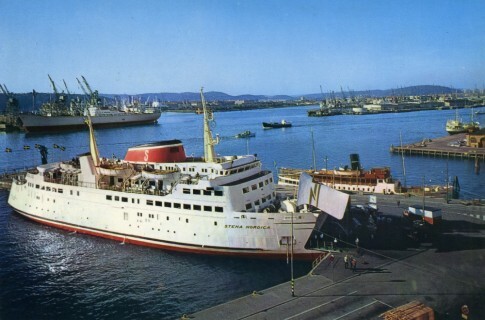 Like her identical sister the Deledda she was slightly different to the earlier six and was not stretched by her original owners. 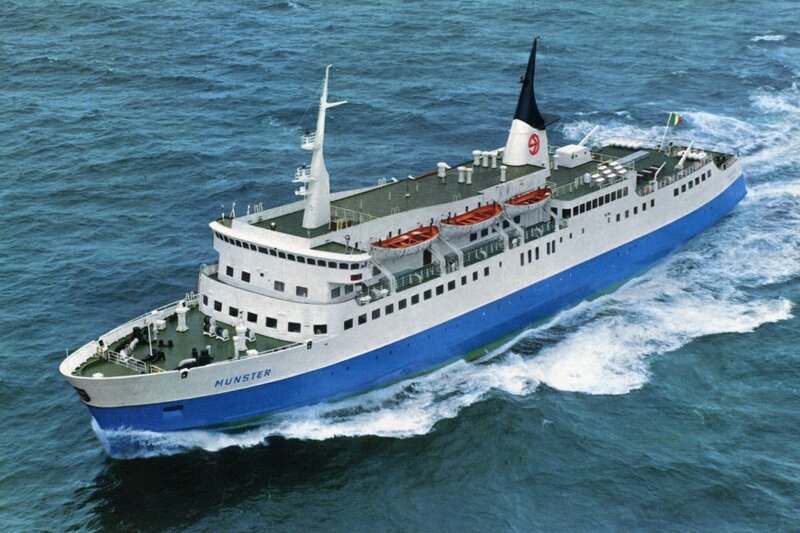 Thus she was in pretty much original condition when she passed to GA in 1997. 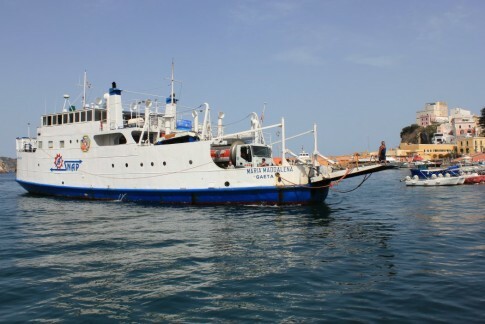 Now the last-surviving Poeti, it seems almost impossible she will ever see service again. 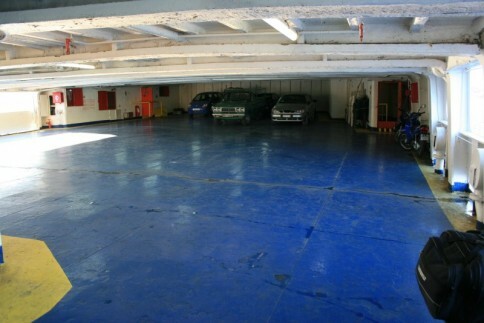 The Dimitroula from astern - as with all these ships, the stern ramp is lowered, but the car deck has been rudimentarily barricaded to prevent squatters or the otherwise curious. Adjacent to the Dimitroula, SAOS's Panagia Agiasou. 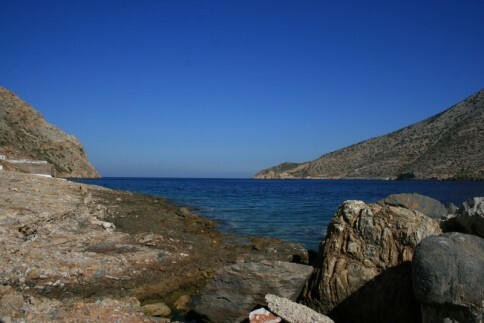 The Panagia Agiasou from astern. 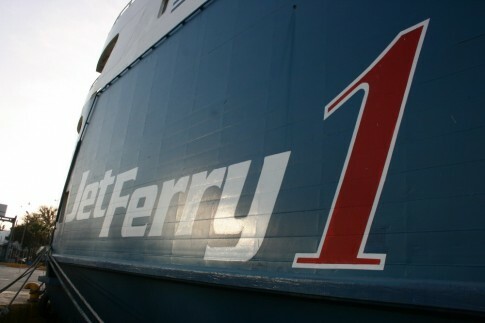 The Jet Ferry 1 (ex-Kattegat) has been seized by the bank which had originally mortgaged her. 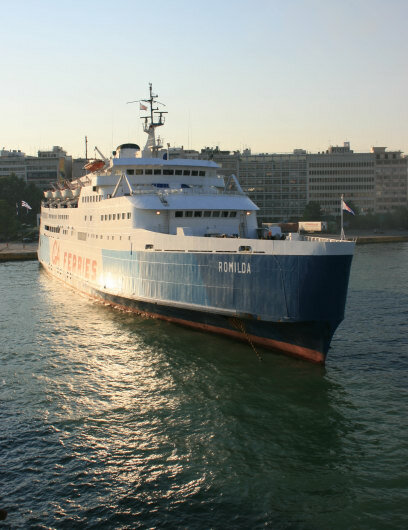 She is laid up in the inner harbour adjacent to what are normally nowadays the berths of the smaller Blue Star ships - right in the traditional heart of Piraeus ferryport, over the road from the electric railway station. 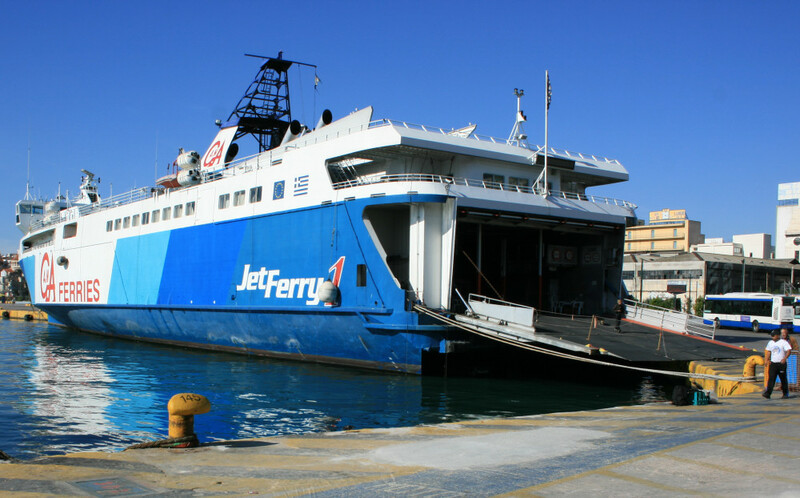 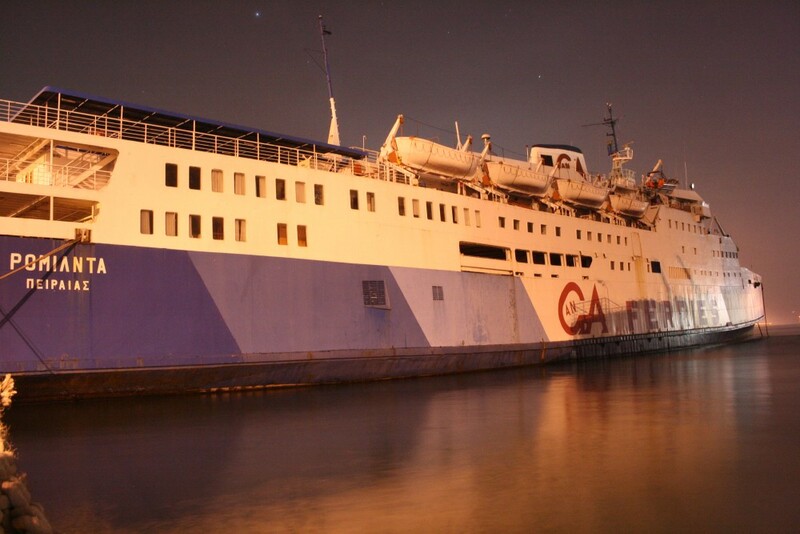 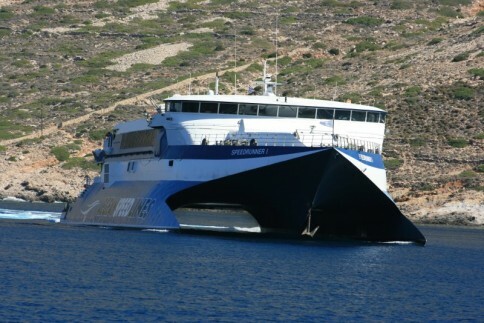 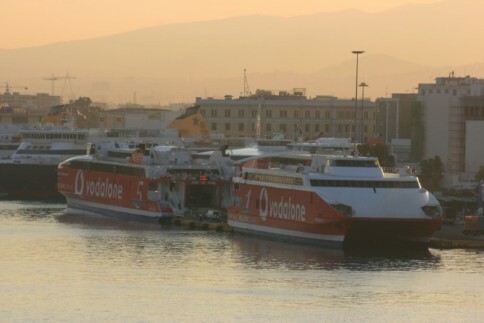 The other batch of four GA Ferries can be found adjacent to the berth of Ventouris Sea Lines' Agios Georgios. 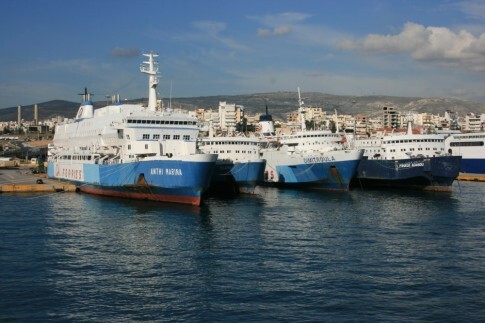 From left to right, the Marina (ex-Green Ace), the Romilda (ex-Free Enterprise VIII), the Rodanthi (ex-Virgo) and the Daliana (ex-Ferry Pearl). 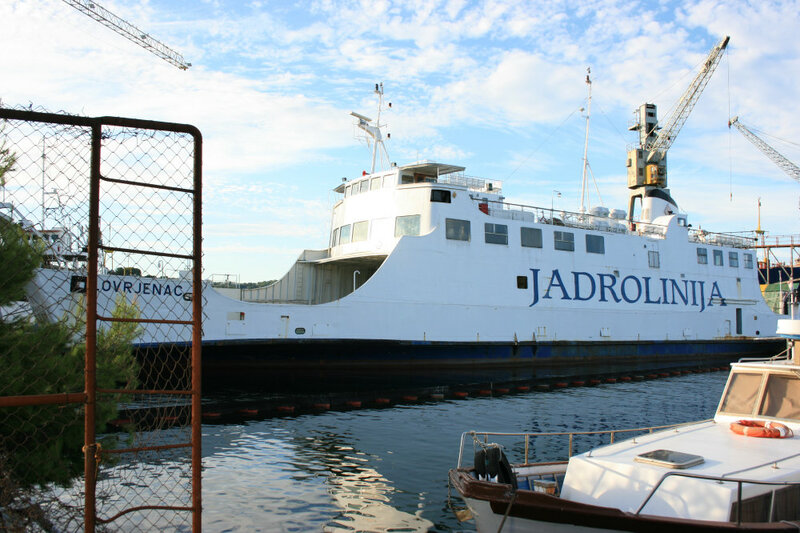 The Romilda was one of the last of the fleet to stay in service, but has been in quite poor internal condition for many years. 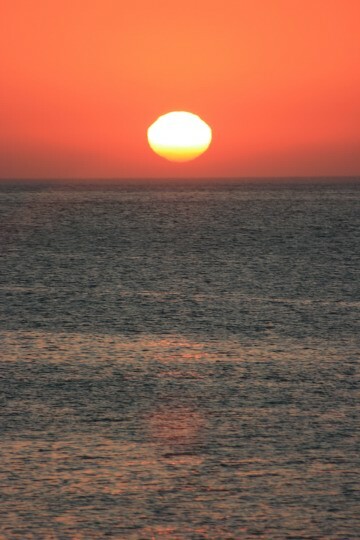 What does the future hold...? The Rodanthi, Romilda and Marina. 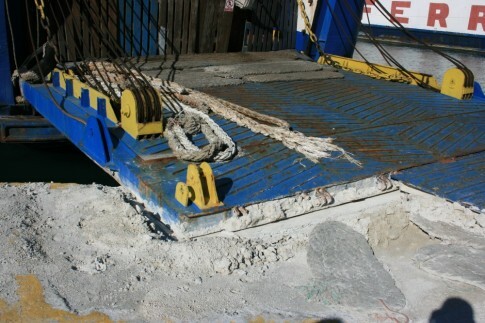 The long-term movement of the stern ramp against the quay has in several cases caused some quite notable damage to the quayside - as seen in this image at the stern of the Rodanthi. 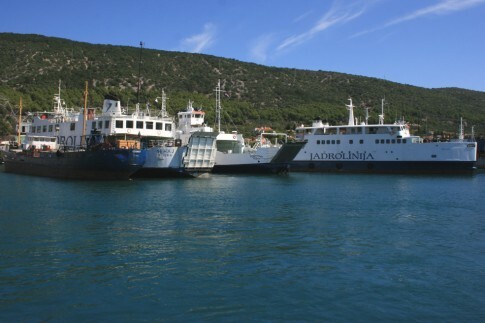 The sterns of the laid up ships are popular locations for local fishermen. 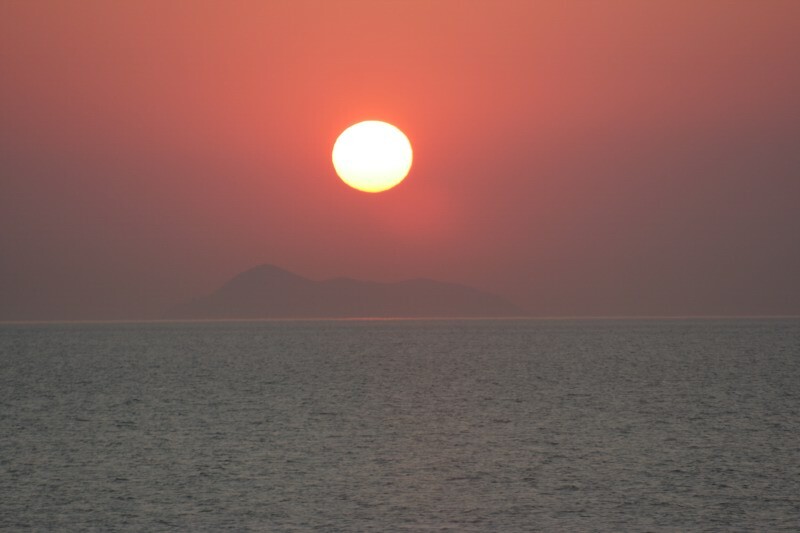 We arrived in Piraeus on board the Theofilos of NEL Lines, all the way from Mytilene, up in the distant north Aegean. 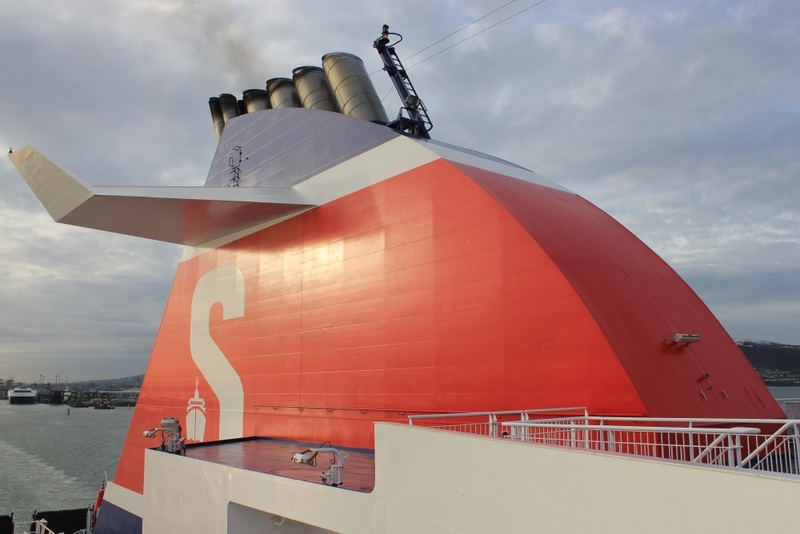 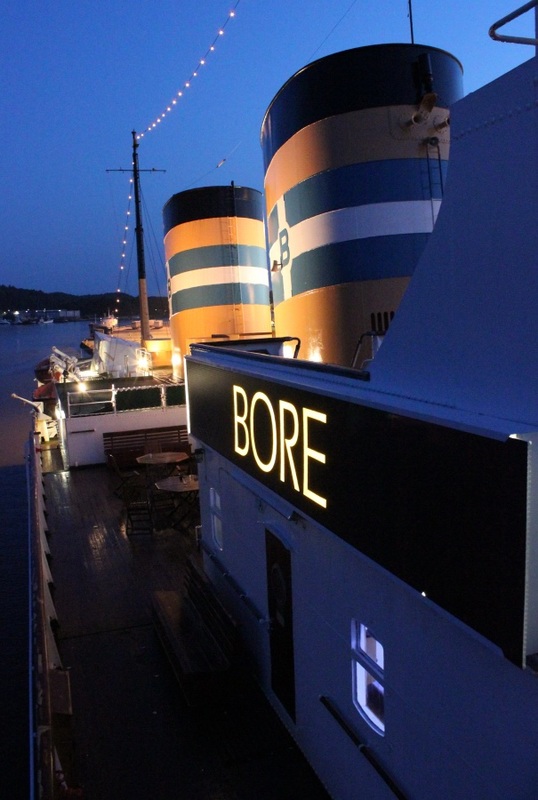 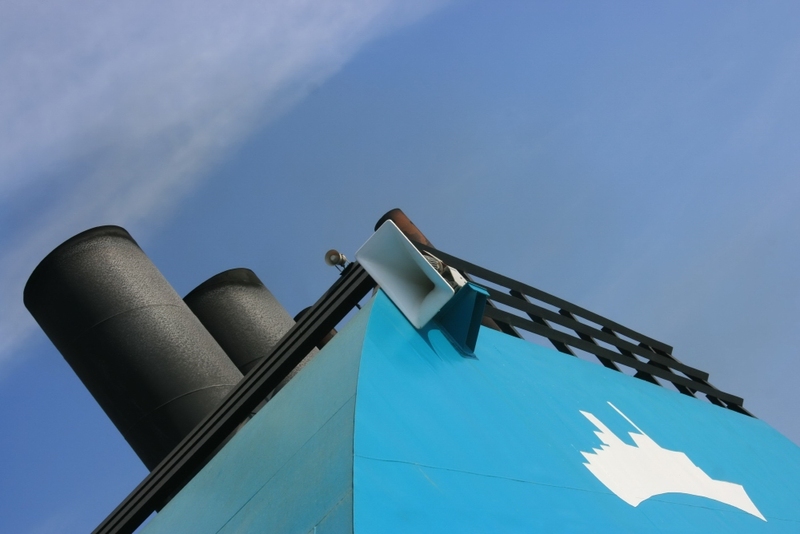 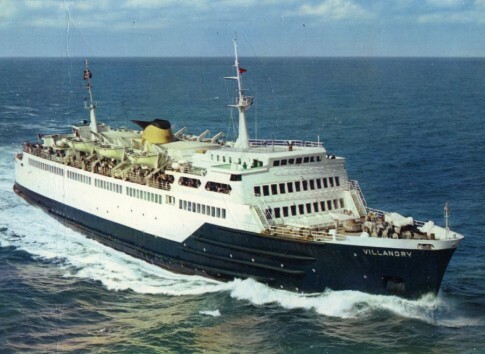 Our ship was originally TT Lines Nils Holgersson, direct predecessor of the ship of the same name which went on to become Brittany Ferriesâ€™ Val de Loire and is now the current King of Scandinavia. 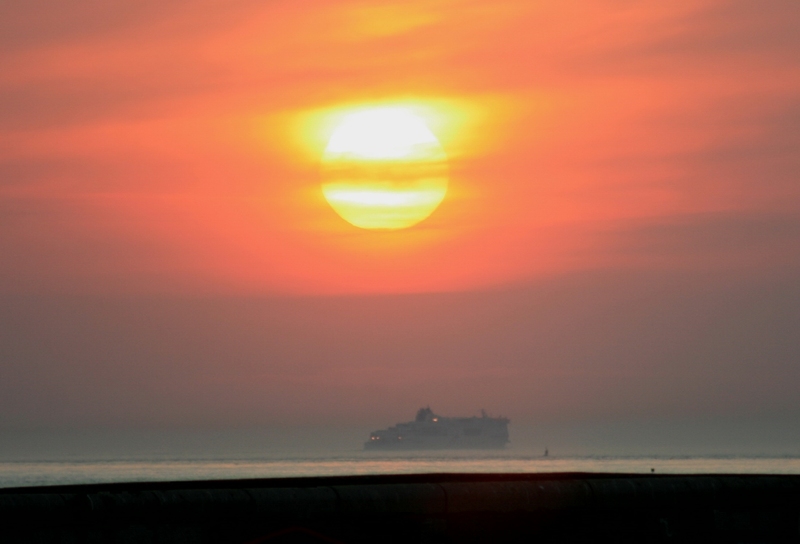 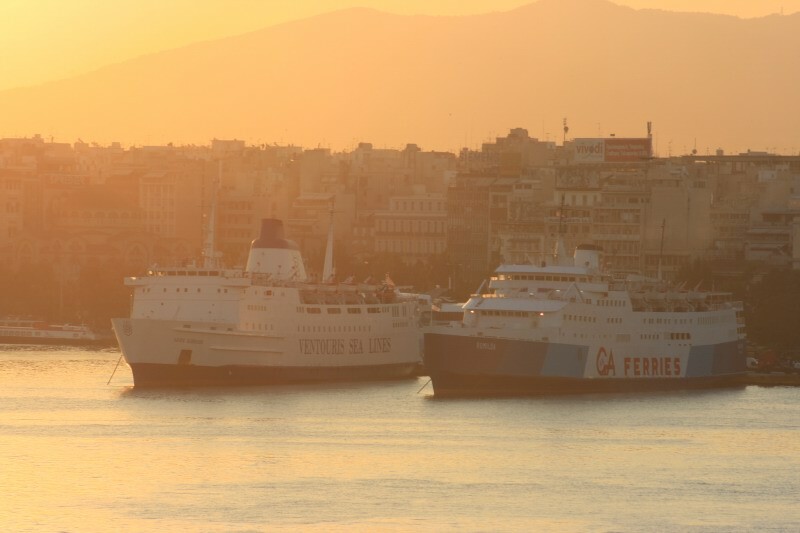 She remains a rather fun overnight ferry, but the highlight was the arrival in Piraeus that morning â€“ dozens of cruise ships and ferries all lined up against the rising sun â€“ a truly spectacular sight. 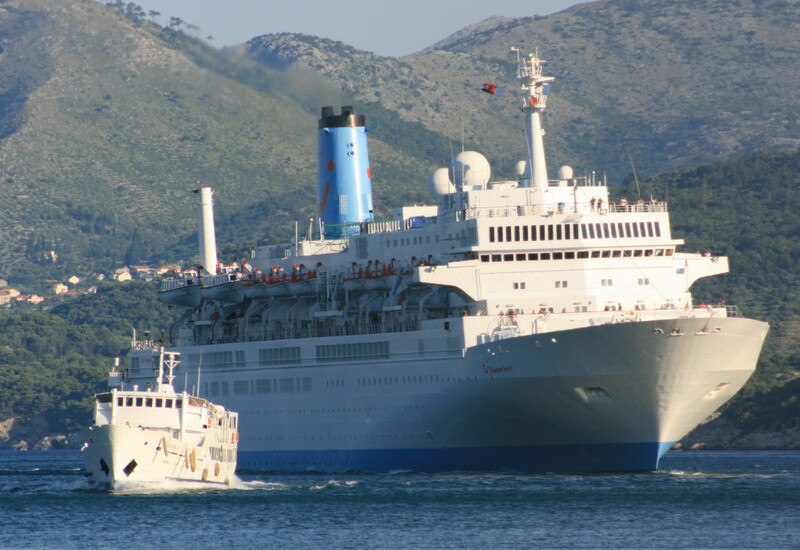 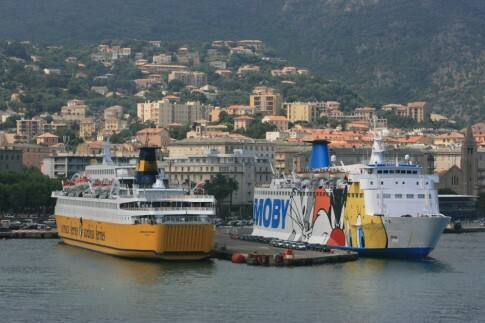 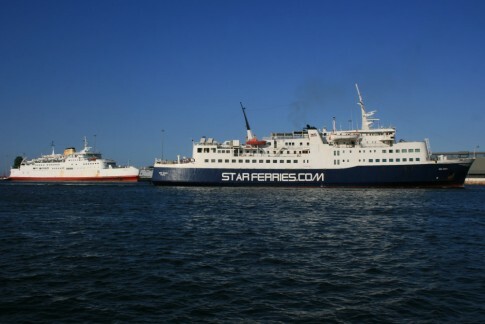 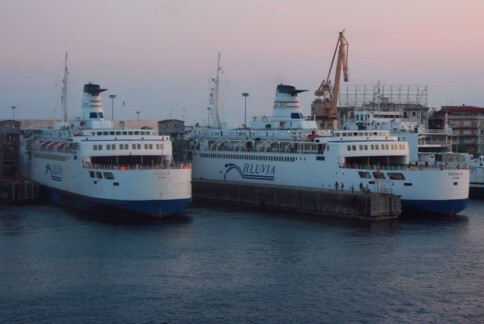 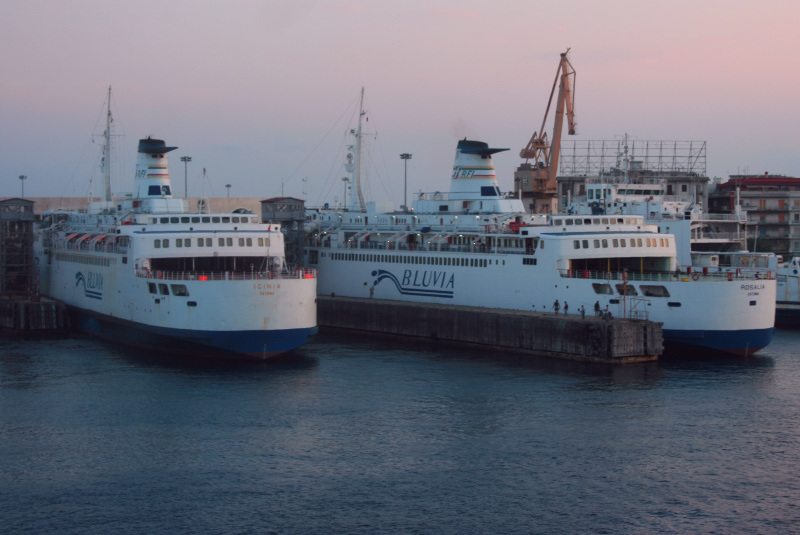 Attention was immediately caught however by a pair of ferries lying next to each other â€“ the Agios Georgios (ex-Hengist) and the Romilda (ex-Free Enterprise VIII). 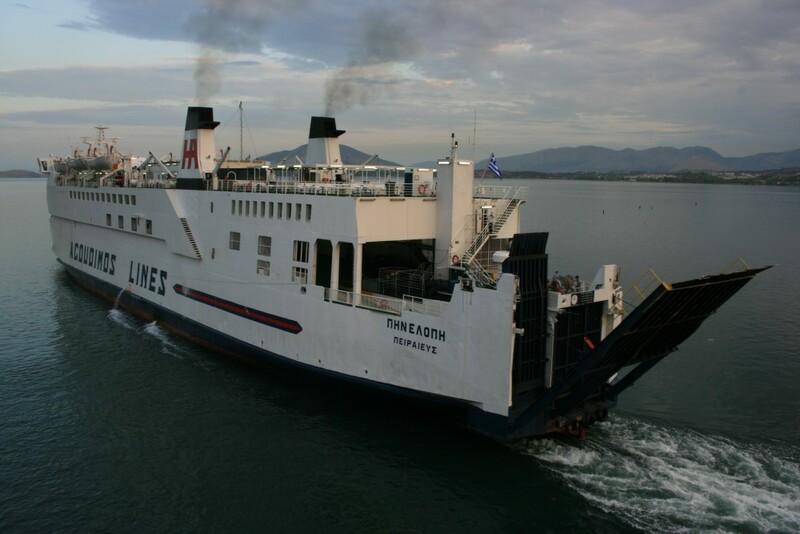 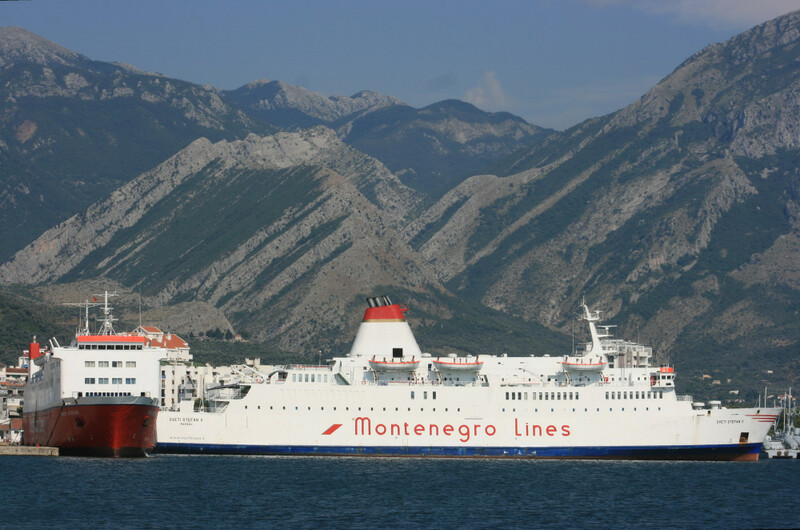 To our chagrin we later found that the Okeanis (ex-Free Enterprise I) had called into Piraeus main port the previous day, surely her first call in years, supposedly before she sailed to Crete to begin a season day cruises. In the event, we found the ship a week later laid up again in Perama and the only movement she has made since then is to sail into Elefsis Bay where she remains laid up. Weâ€™d been working on the not unreasonable assumption that the Theofilos would get onto her berth late but as it turned out she was actually rather early and we found ourselves disembarking at about 7.10am. 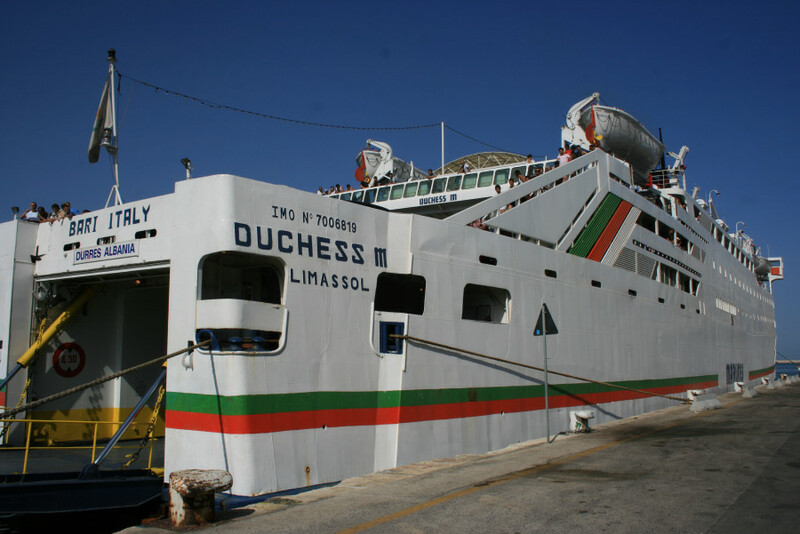 That opened up a whole new avenue of possibilities â€“ weâ€™d intended on spending the day poking around the shipyards of Elefsis and Salamis prior to sailing out to Milos in the early evening on board the Vitsentzos Kornaros (ex-Viking Viscount/Pride of Winchester) of LANE Lines. 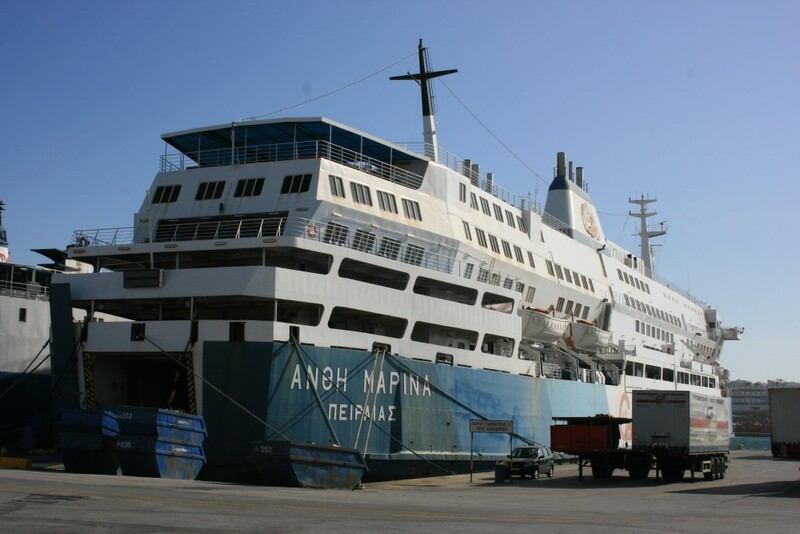 Instead, a quick hop onto the port bendy bus followed by a lung-busting gallop to our friends at the Poseidon Travel agency saw us grab tickets for the Agios Georgiosâ€™ departure at 7.25am and sprint round to her berth. 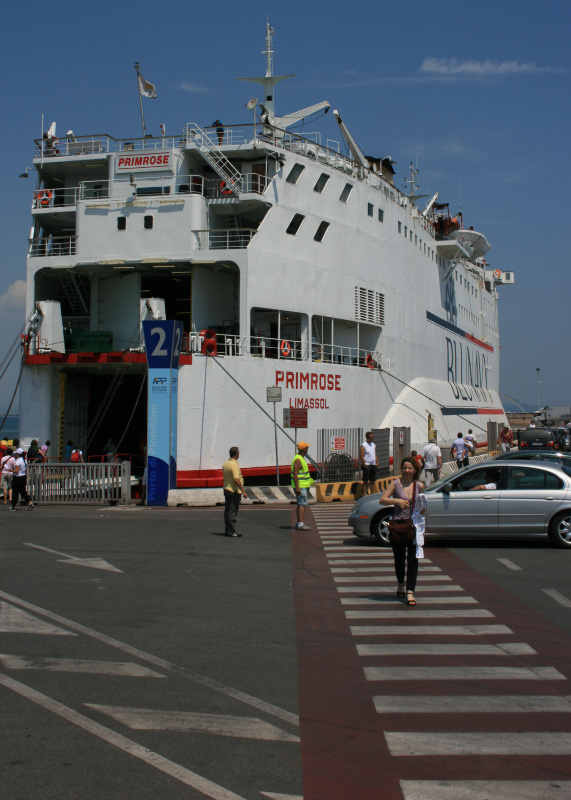 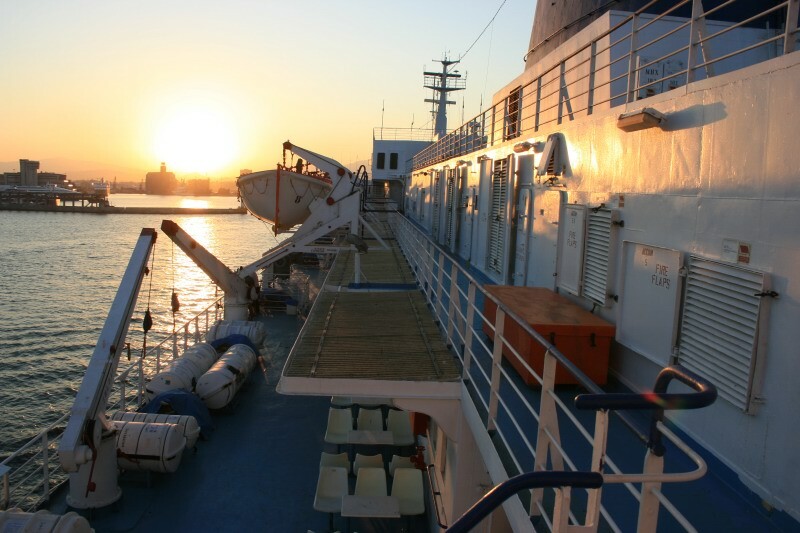 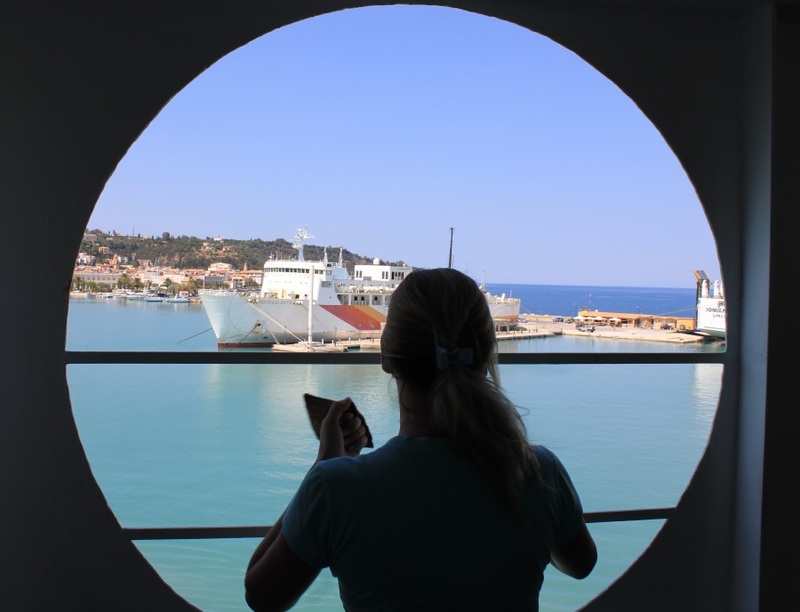 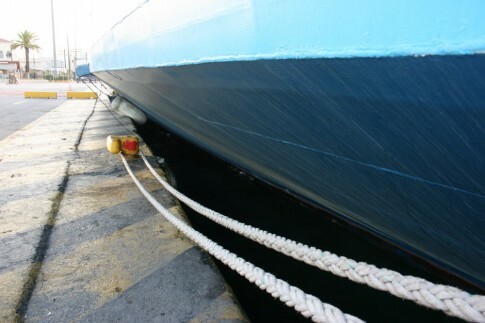 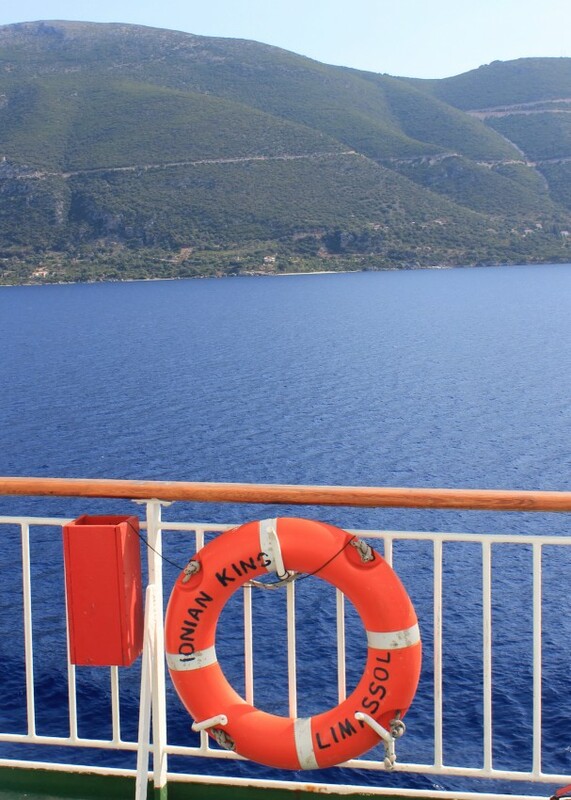 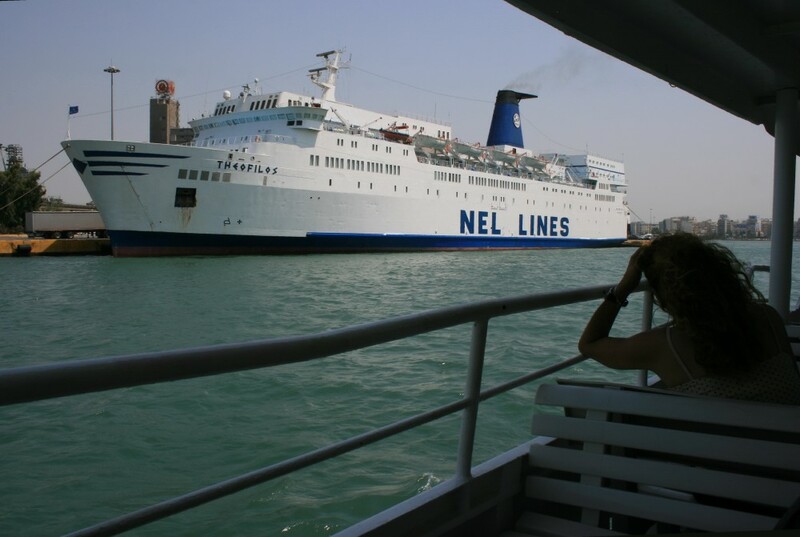 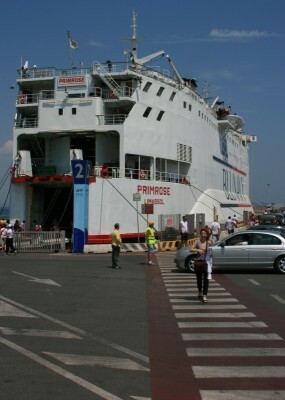 The knot-in-stomach feeling you get when you have a ticket, can see the shipâ€™s stern door 400 metres away but know it could shut at any minute is a sort of recurring Piraeus nightmare â€“ so far our luck has held. On this occasion we shouldnâ€™t have worried: Piraeus rush hour is when you can soon establish which operators are â€œinâ€ and which are â€œoutâ€. 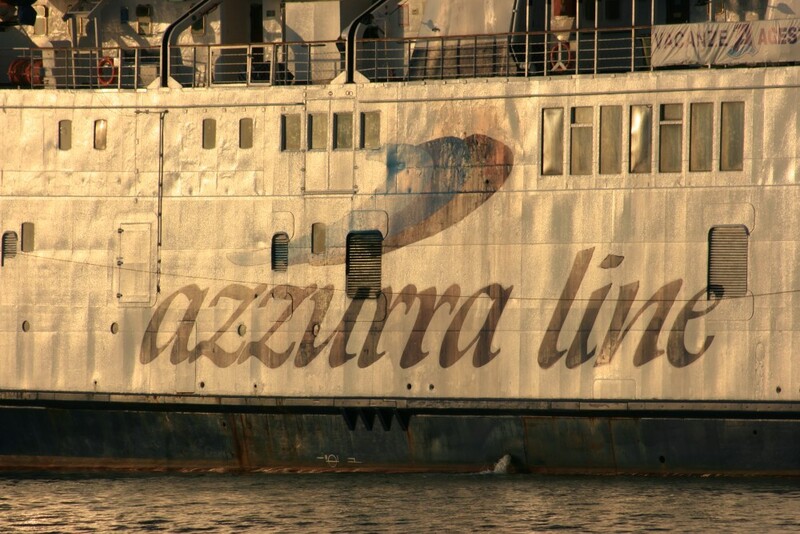 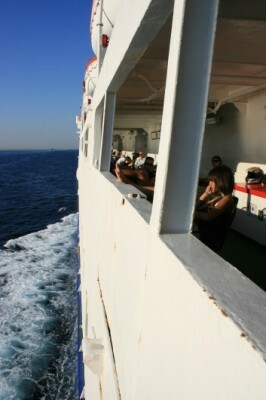 Understanding this inside/outside dichotomy is informative to understanding how the Greek ferry scene hangs together. 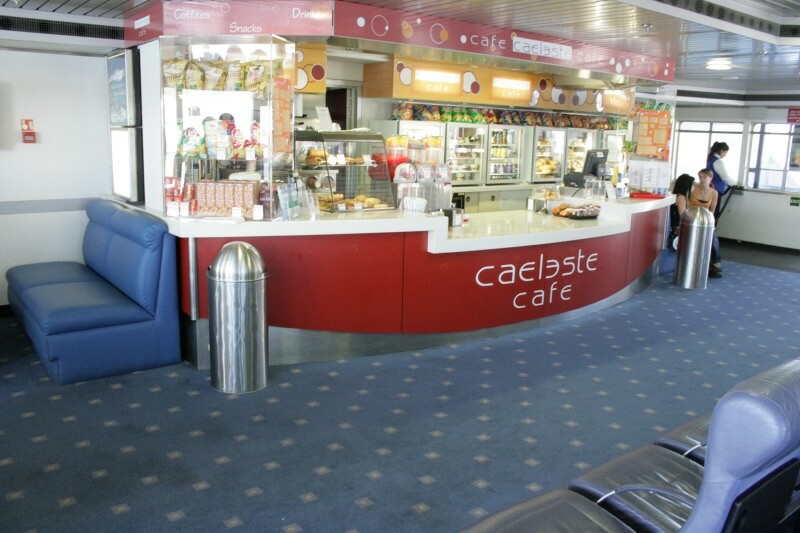 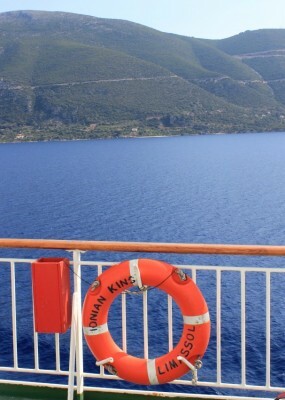 Suffice to say, if you are Blue Star Ferries or Hellenic Seaways you are â€œinâ€. 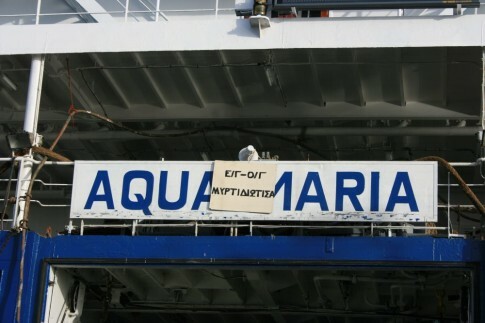 If you are, for example, the new Kallisti Ferries, you are most definitely â€œoutâ€. 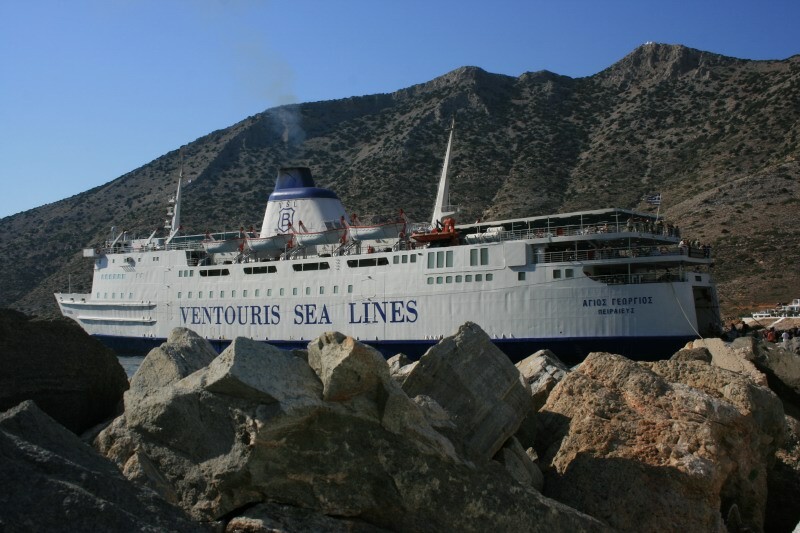 And if you are Ventouris Sea Lines, youâ€™re somewhere in between. 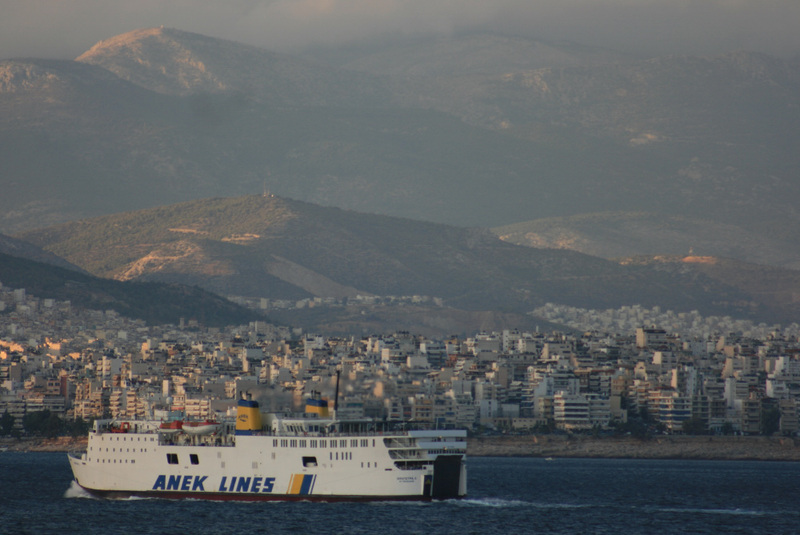 The Agios Georgios and VSL then fall into the â€œtoleratedâ€ categoryâ€“ as in youâ€™re fine but donâ€™t ideas above your station; and know your place. 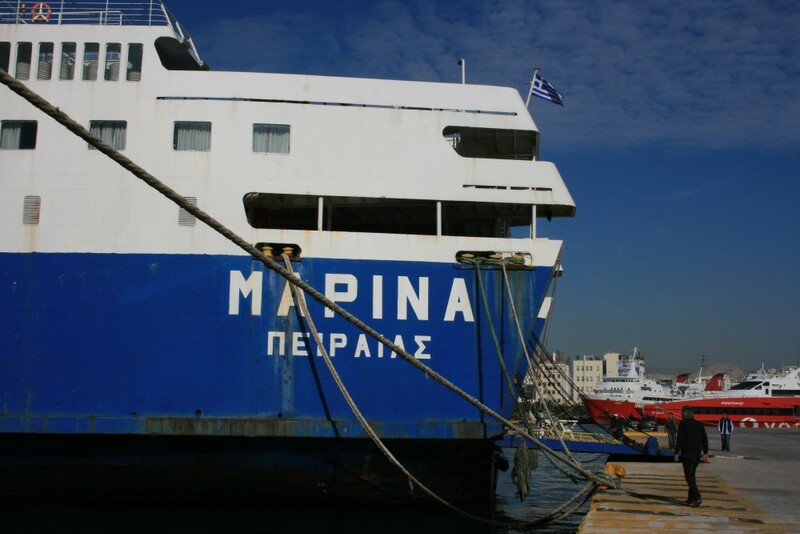 Which, when leaving Piraeus, is after all the Blue Star or HSW ships that want to leave at a similar time have already left. So the Agios Georgios strained at her ropes for a good 20 minutes as the Blue Star ferries sailed all the way out of the inner harbour (they get the best berths, right next to the railway station), past us and out. Weâ€™re away at last! Farewell to the Romilda! Finally allowed to cast off, we headed out of the port, passing by both of HSWâ€™s admirable modern sisters, the Nissos Mykonos and the brand new Nissos Chios. 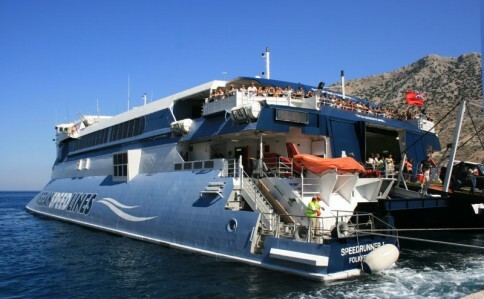 The Agios Georgiosâ€™ schedule for our sailing was Piraeus-Serifos-Sifnos-Kimolos-Milos. 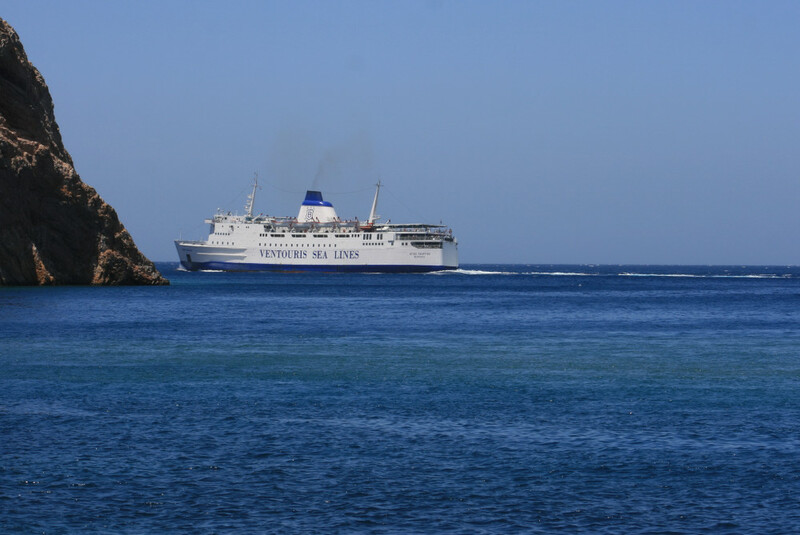 This was the route for many years operated by Lindos Lines and their famed Milos Express (ex-Vortigern), and you can still find this ship on plenty of postcards on her namesake island. 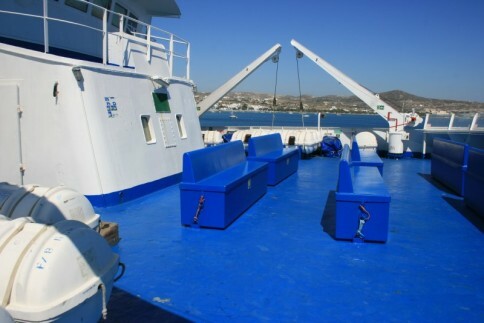 In 1999, Lindos were absorbed into Hellas Ferries â€“ the â€˜Vâ€™ lasted with them until 2003. 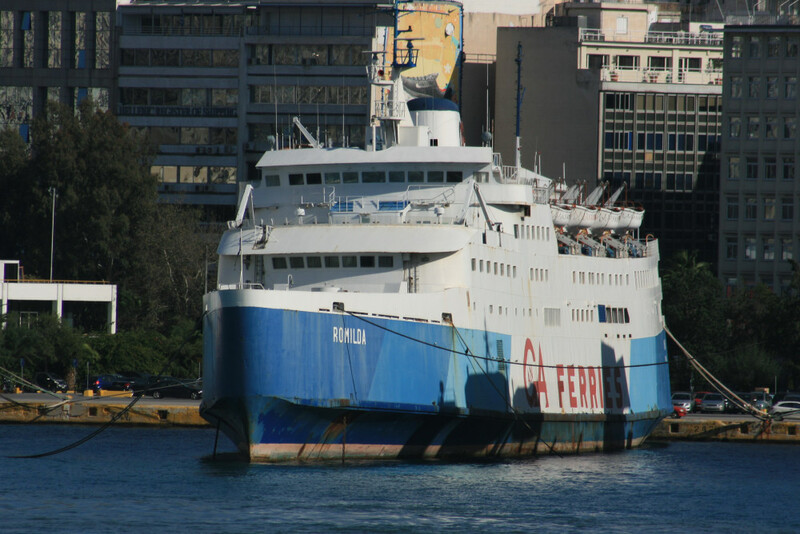 The attitude of locals on this chain of islands towards Hellas Ferries/Hellenic Seaways was somewhat strained â€“ the real test of a ferry operator for the islanders is what happens in the Winter when the fast ferries canâ€™t run â€“ in this case, HSW latterly took to putting what were deemed â€œsubstandardâ€ ships on the route, the poor old Express Adonis (ex-Ailsa Princess) being a particular figure of hate by some accounts. 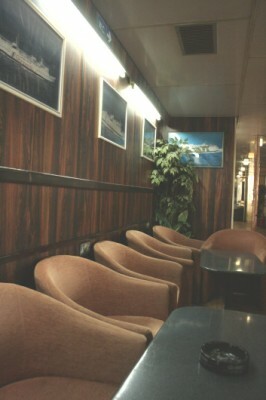 In later years, HSW abandoned the route altogether. 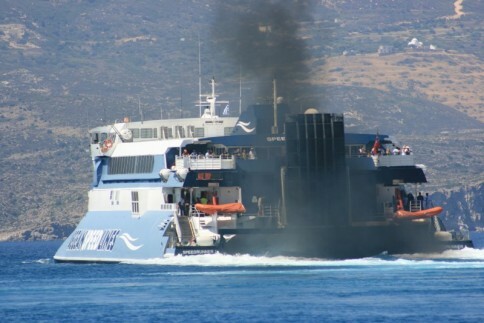 It was this resentment that VSL tapped into when they first deployed the Agios Georgios on the Milos run back in 2005. 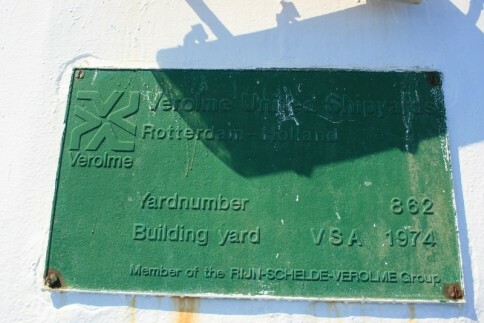 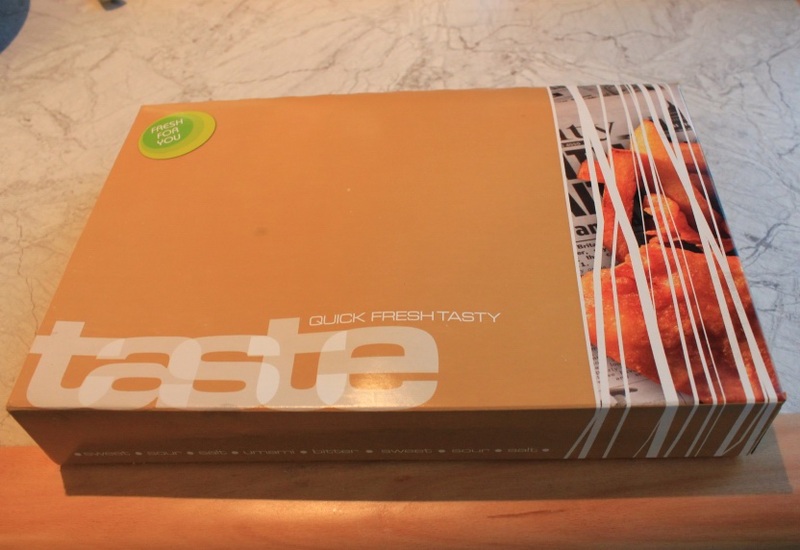 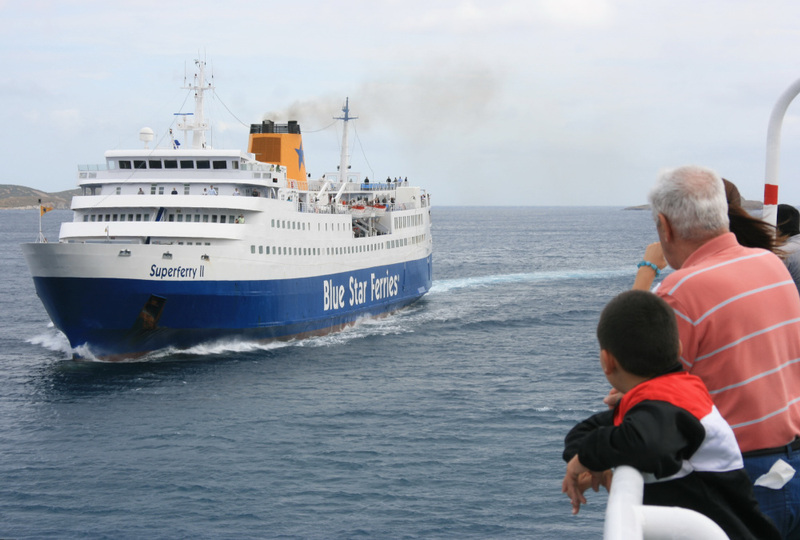 VSL have a murky past which doubtless makes anyone wary of â€œrelyingâ€ on them, but compared to HSW they have reliably operated the lifeline since HSW abandoned the islands from 2006. The glorious Summer of 2005 was a magical one for anyone trying to catch a glimpse of genuine Greek ferry competition as once it was â€“ the Express Aphrodite (ex-St Columba) and Agios Georgios left Piraeus at virtually identical times in the morning and would play island hopscotch with each other, racing all the way to Milos and back, the leader determined not to let the other overtake. 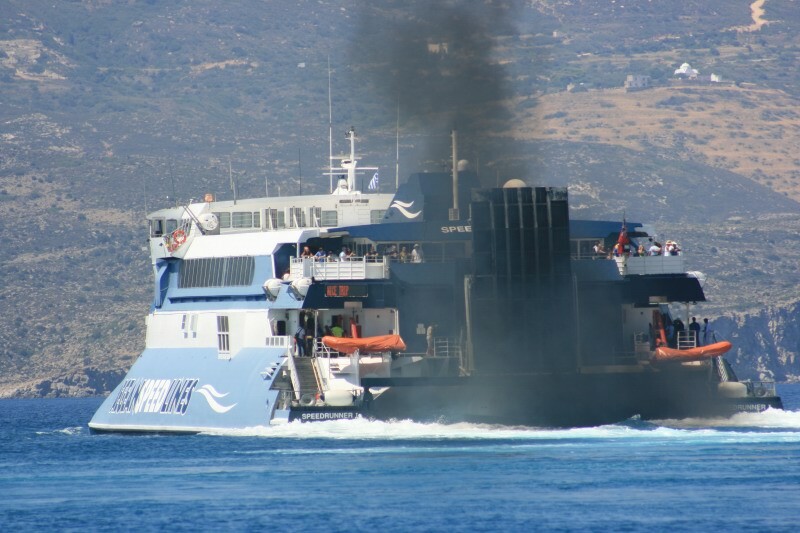 All of which was great fun, but not so good for the Agios Georgiosâ€™ engines, which really suffered for a while. Since then, and with a new crankshaft, things have been a little easier and although the core schedule is basically the same, she isnâ€™t pushed nearly so hard which has to be a boost to her longevity. The first leg to Serifos took a good three or four hours, so plenty of time to have a look around. 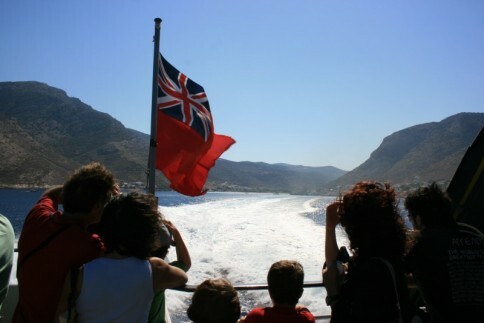 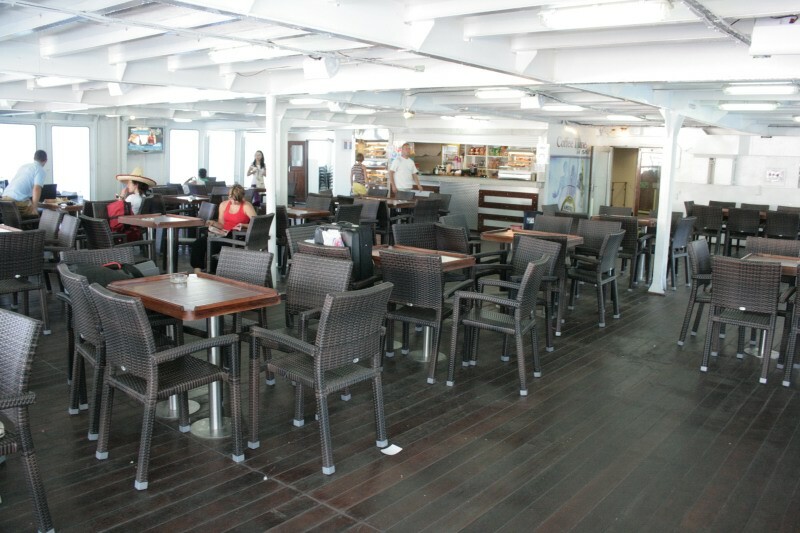 The ship was pretty well packed â€“ backpackers sprawled across the outside decks where the deck bar area had been completely refurbished before the Summer season. 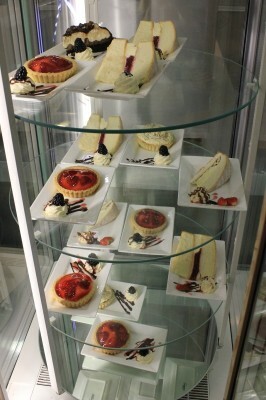 Islanders as ever stayed in the air conditioned interior, mostly asleep with the curtains firmly drawnâ€¦. 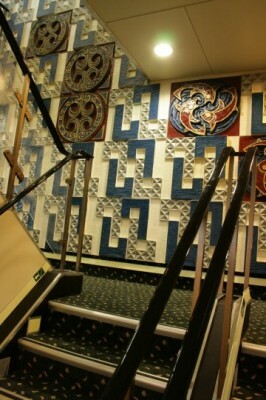 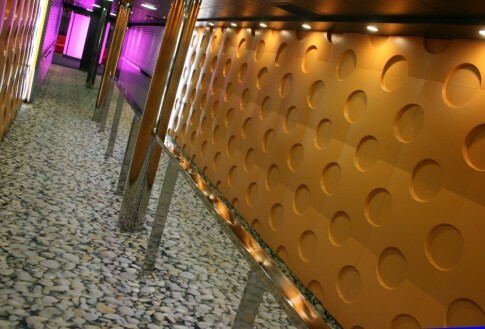 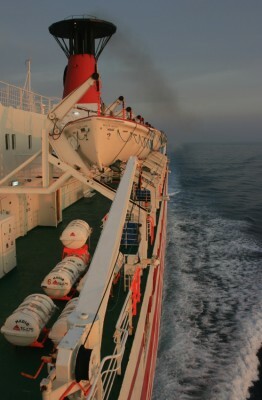 The mural on the forward stairwell from Deck 5 ('B' deck in Sealink days). The second port of call was Sifnos, a stunning location where the ferries sail between the rocky headland and into the port located between two sheer cliff faces. 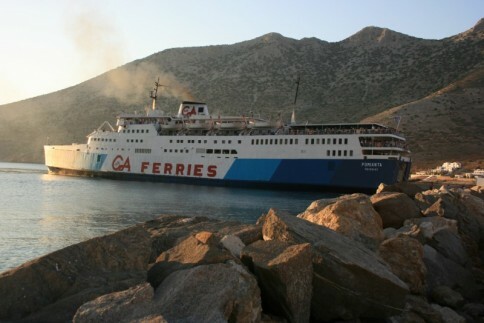 Some 25 years ago, the Kimolos (ex-Free Enterprise I) ran aground here quite spectacularly, although the damage was mostly to smaller boats in the harbour. 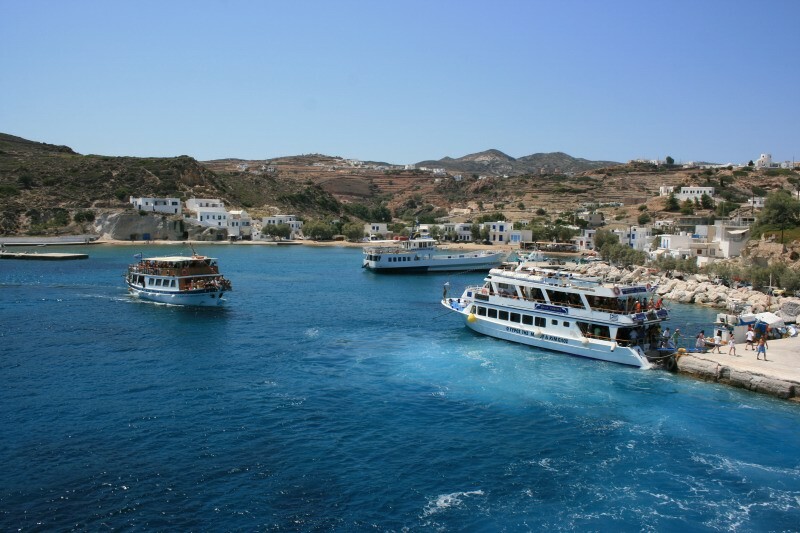 Next up: Kimolos itself, the little island next to Milos for whom the ex-FE I was named when she was running for Ventouris Ferries. 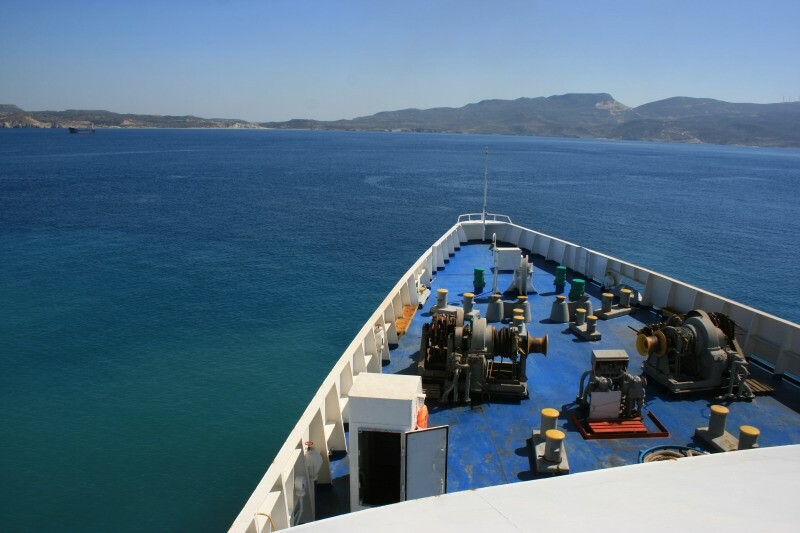 The great thing about staying on these ships all the way to the final island is that they get gradually quieter and quieter. 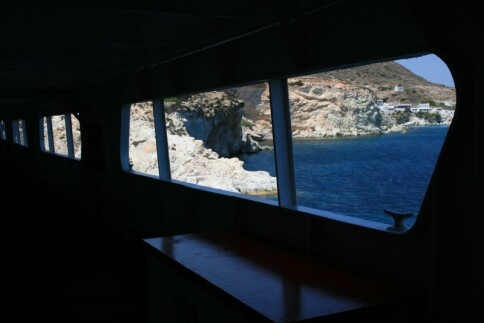 From Sifnos onwards, the ship became something of a private yacht. I spent half an hour enjoying a drink in the forward bar (once the VSOE lounge). 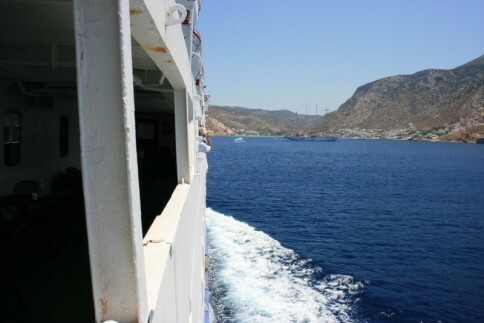 At last, we arrived in Milos! By this time it was about 3.30pm. 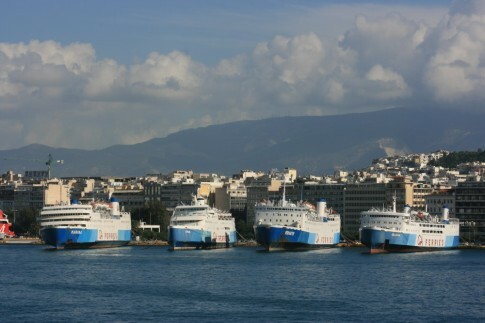 In harbour were the EasyCruise One and the Highspeed 1 which weâ€™d seen earlier in Piraeus and had overtaken us en-route. In between the last two calls, weâ€™d been wondering which island we actually wanted to stay on overnight and Serifos was the preferred option. How to get thereâ€¦. well the Agios Georgios went back there at 4pm! 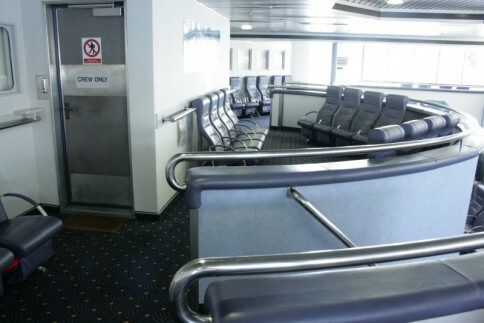 So just time for a quick dash off the ship, nip into the quayside ticket agency, and back on board again. 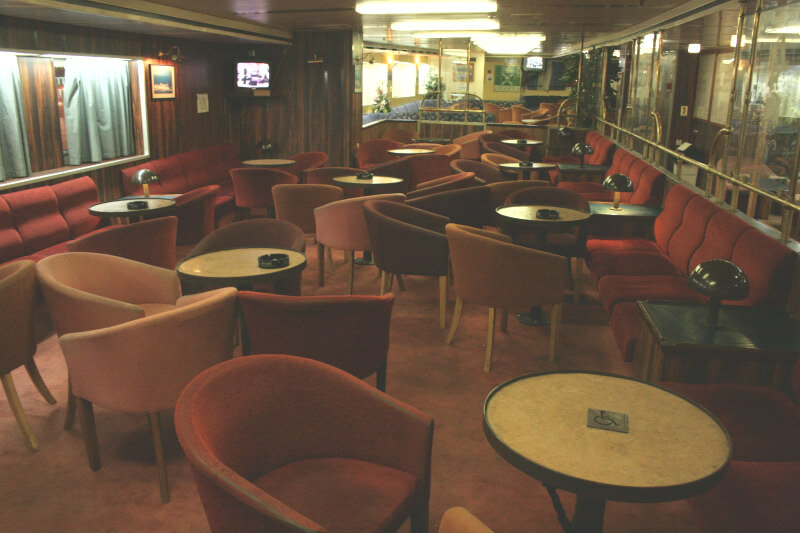 This time we splashed out and upgraded to First Class â€“ up in the former Wessex Bar above the VSOE. 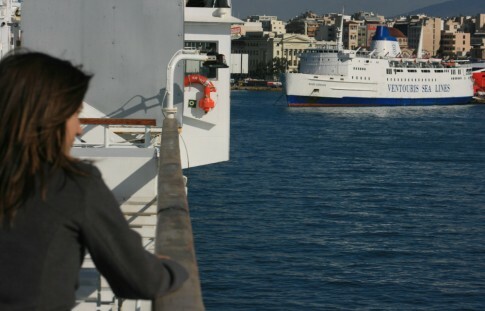 One of the real pleasures of Greek ferry travel is turning the tables on crew members who look at you, in their eyes yet another bedraggled backpacker, and try and usher you straight out onto deck. One flash of the first class ticket is never enough in these circumstances â€“ they check and double check as if they canâ€™t quite believe their eyes before letting you pass. 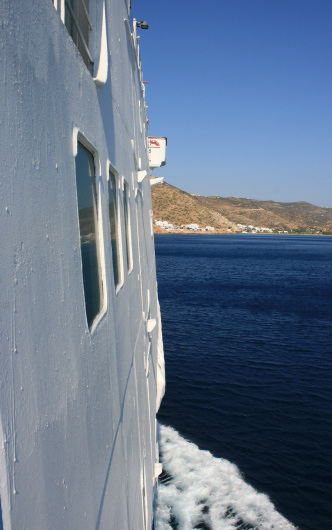 After getting off the ship in Sifnos, we had to find somewhere to stay â€“ that was soon sorted with a room from a nice elderly lady sourced from the tourist office; the room incidentally had on the wall a nice framed photograph of the Express Pegasus on her maiden arrival in Sifnos back in 2000 when she had teamed up with the Express Milos in Hellas Ferries’ first year. 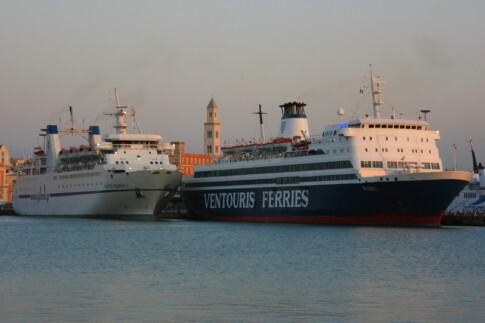 Finally there was some relaxation time – dinner was had at one of the beachside restaurants and a post-dinner stroll to the port followed in the hope of getting pictures of the last arrivals of the day, the Romilda and the Speedrunner II. 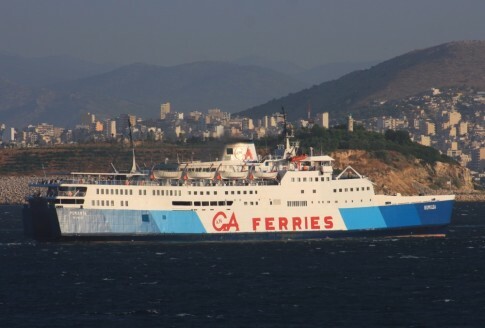 The latter was headed to Milos before coming back and onward to Piraeus but day turned into night before the late-running ex-Stena Pegasus finally rounded the headland. The following day we had a nice long lie in before wandering down to the portside area for some breakfast â€“ a simple croissant and a cup of coffee sufficed, but it wasnâ€™t too long before it was time to get the rucksacks on again and head back down to the ferry port. This time it would be a quick lunchtime hop to Milos, a stop for some afternoon tea there before getting the Romilda back to Piraeus. 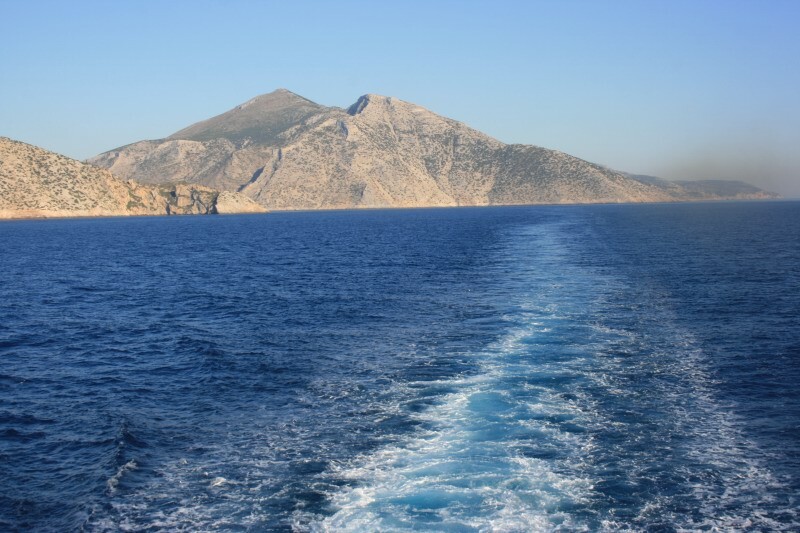 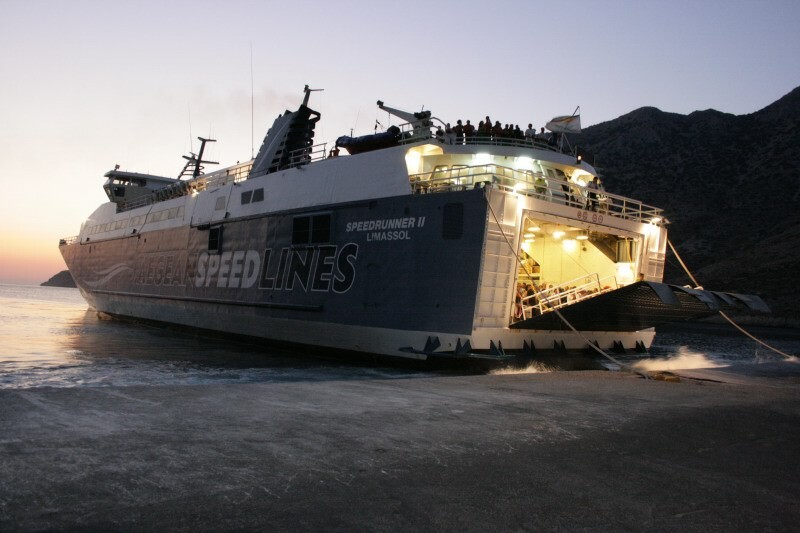 To get to Milos, the handy connection was provided by the Speedrunner I (ex-Hoverspeed Great Britain) and she arrived and left bang on time â€“ something that would later prove challenging to the Romilda. 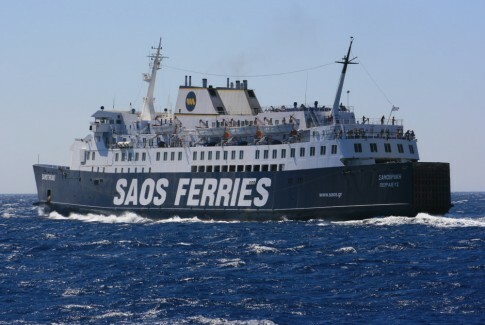 The â€˜HGBâ€™ was pleasantly filled on this short 50 minute leg and hasnâ€™t changed very much since she has been in Greece, still retaining a model of herself in Seacat colours with an explanation of the Hales Trophy win. 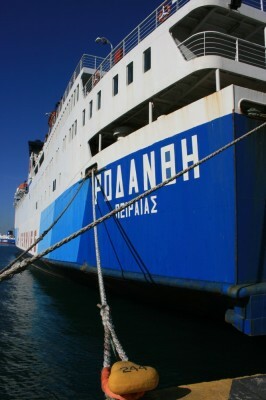 There still just isnâ€™t something quite right about seeing this flapping around on a Greek island ferry. 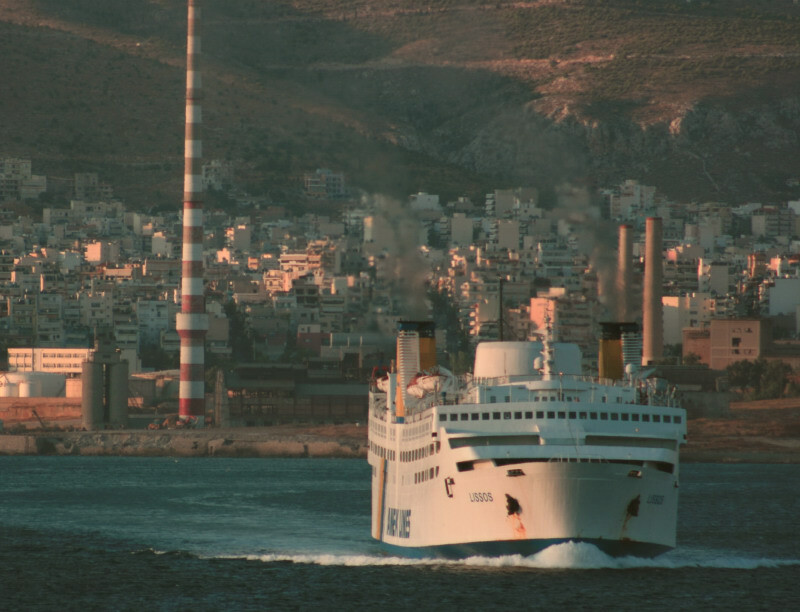 The ship promptly arrived in Milos, unloaded and quickly reloaded before disappearing into a characteristic cloud of exhaust fumes. 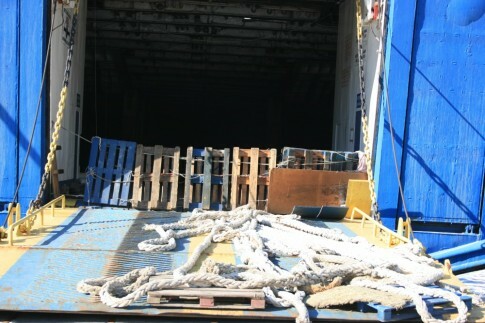 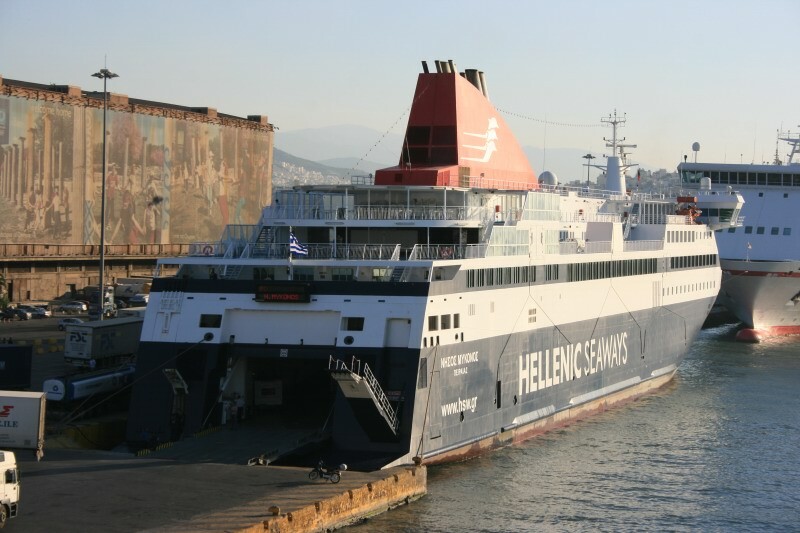 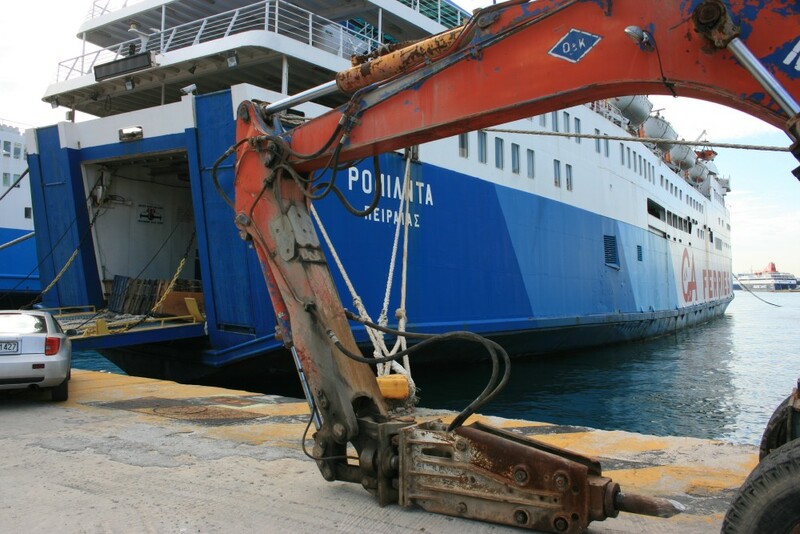 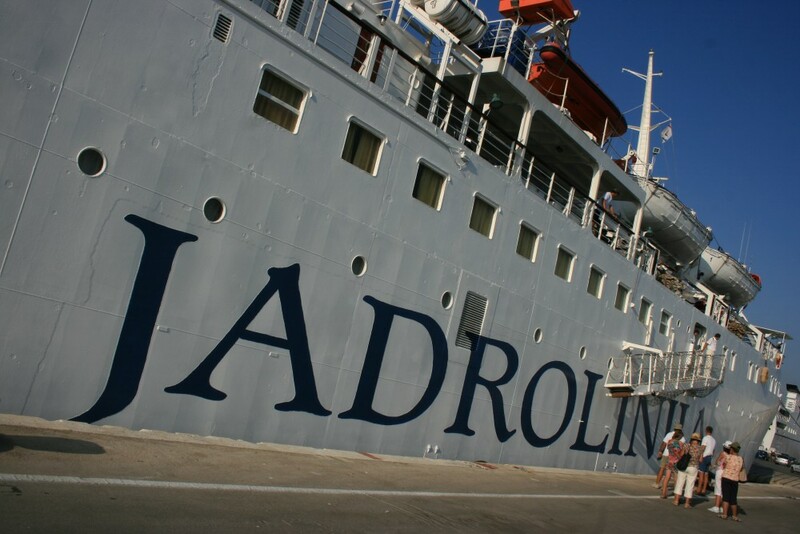 We had only one job before dinnerâ€¦ purchase tickets for the Romilda back to Piraeus. This wasnâ€™t as easy as might be imagined: some times ticket agents care just that little bit too much about their customerâ€™s welfare! 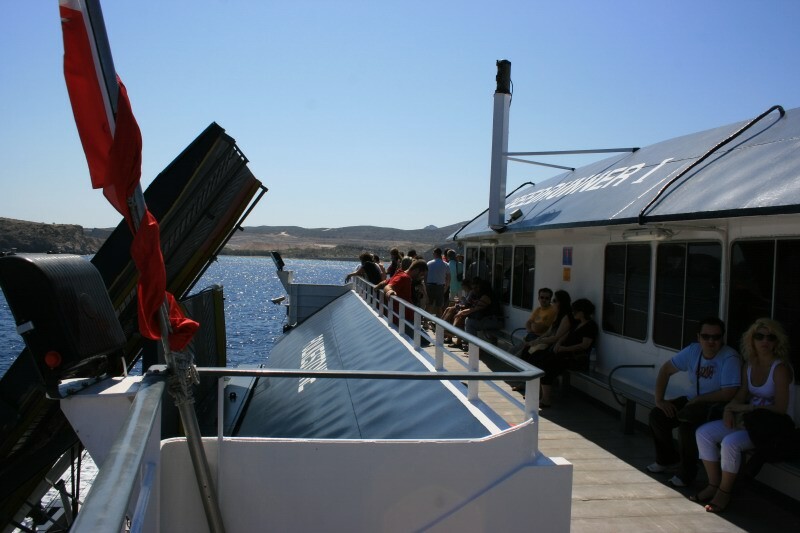 The agency adjacent to the berths in Milos (not affiliated to any company in particular) was convinced we were just simple tourists who needed a favour doing when we asked for tickets for her sailing – we were politely told, â€œno, is no good, dirty, bad ship. 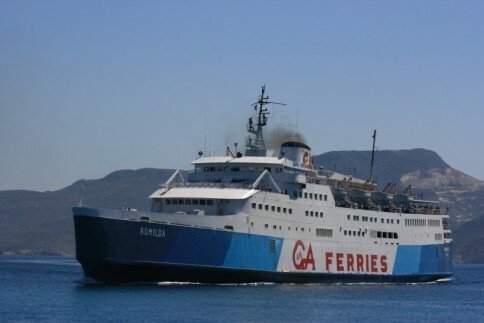 The Agios Georgios is faster, cleanerâ€. 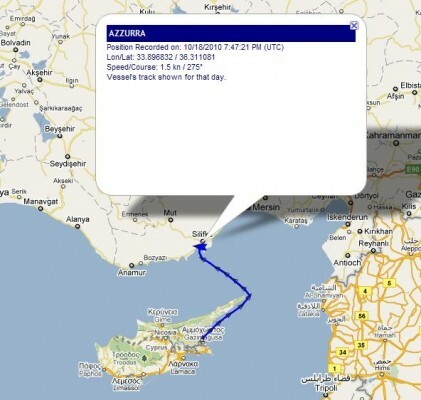 All of which was true and, in fact, quite a persuasive argument â€“ although the A.G. was scheduled to depart Milos a little later she would get into Piraeus somewhat earlier, mostly but not entirely due to her more direct routing. 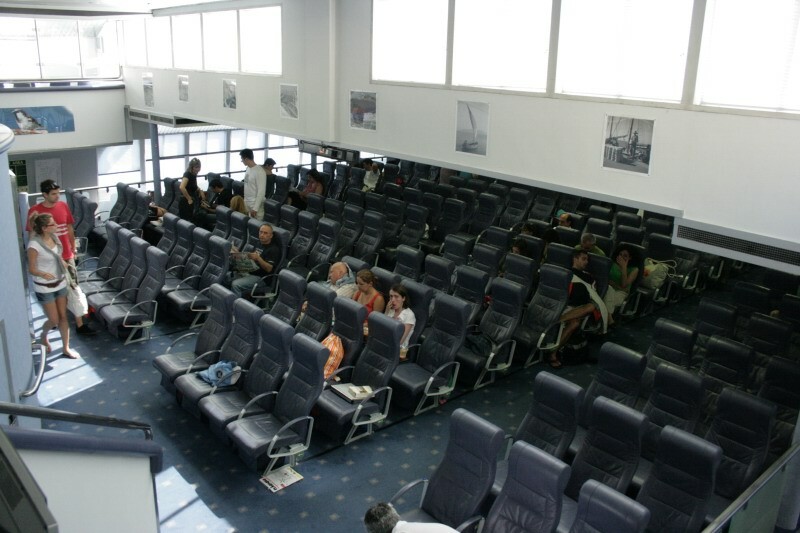 We persevered however and eventually and somewhat reluctantly were sold our tickets. 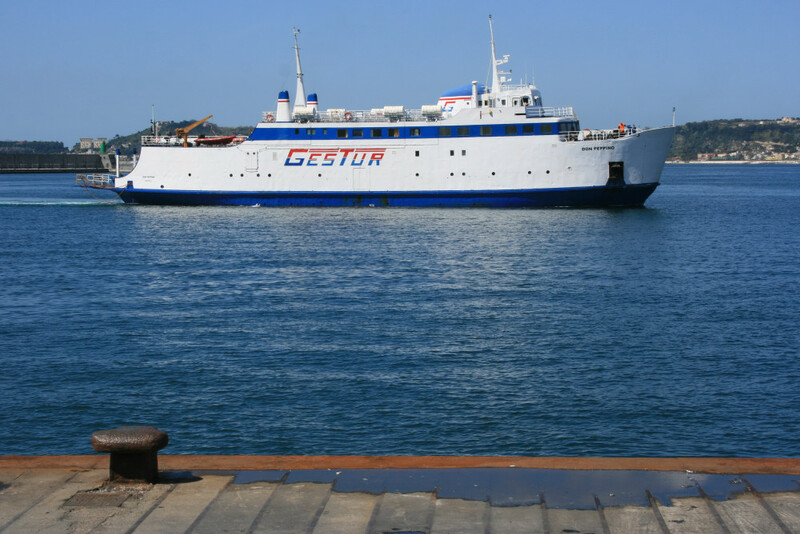 Just after lunch a booming horn indicated the arrival of the Agios Georgios which arrived on her morning sail from Piraeus, backed onto the berth and sat there for her half hour turn around. She then left again as swiftly as she had arrived. 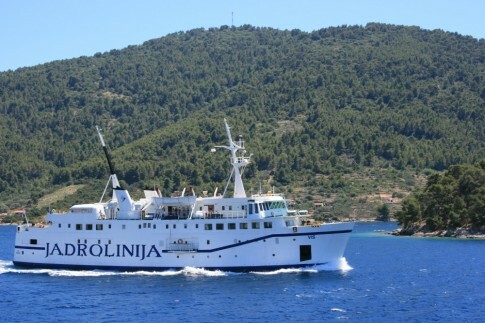 There was still no sign of the Romilda which was scheduled to have left 20 minutes earlier. Finally, about an hour later than timetabled, she hurried round the headland, her great belches of smoke giving even the Speedrunner I a run for her money. 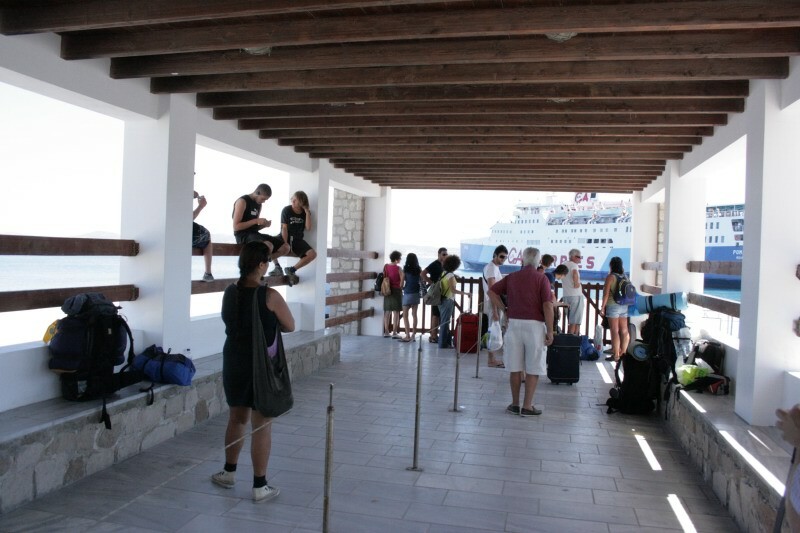 The long wait of the Romildaâ€™s passengers in the Milos â€˜cattle pensâ€™ is over! 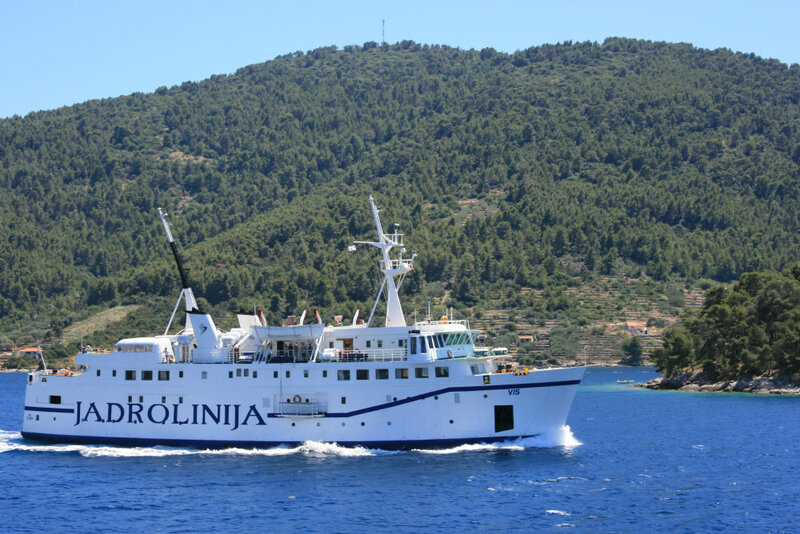 The Romilda really is a slow old thing nowadays (or is run slowly), and was noticeably taking a little longer than the Agios Georgios had between the same island pairs the previous day. 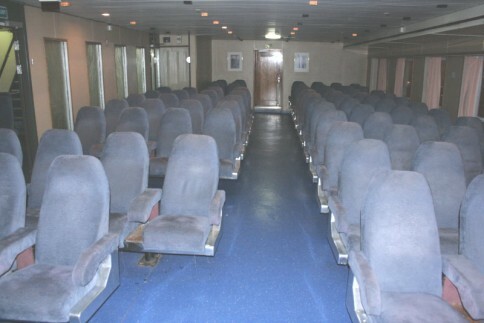 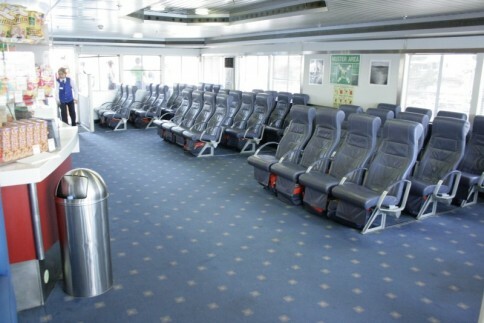 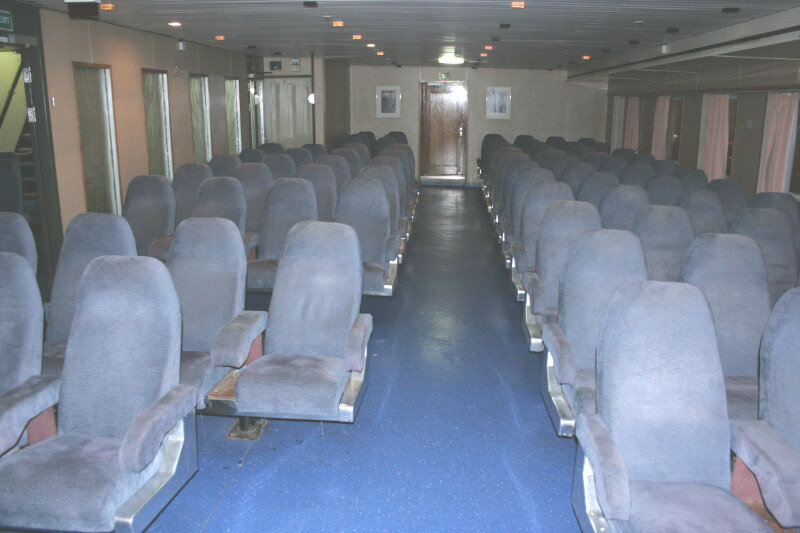 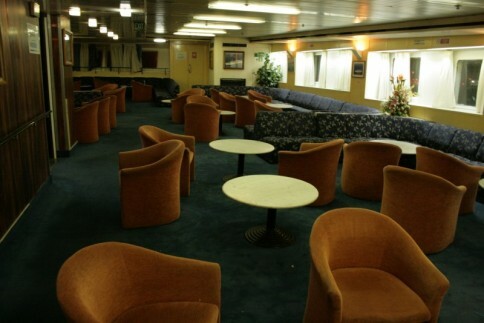 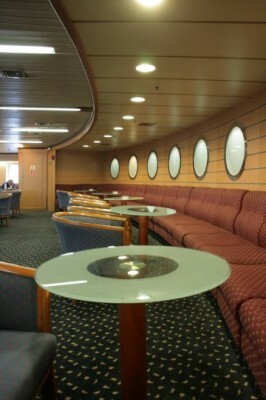 Most passengers crowded either on the outside decks, or laid flat out on the sofa seating inside. 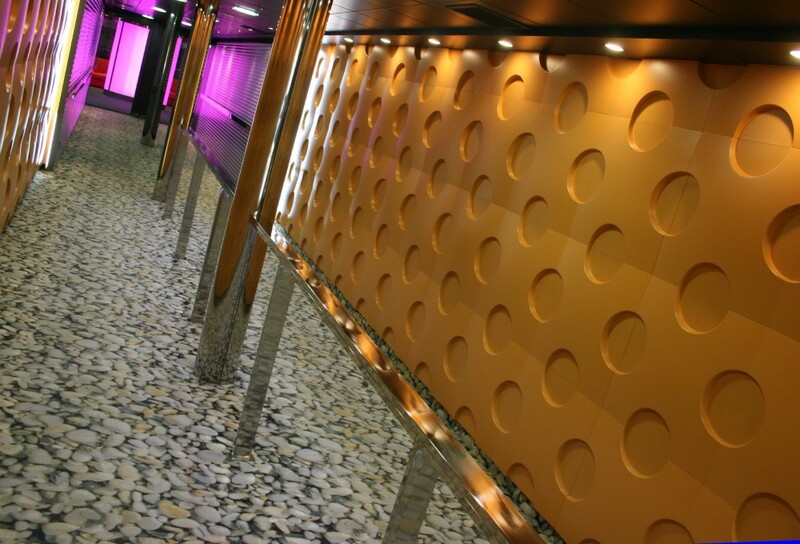 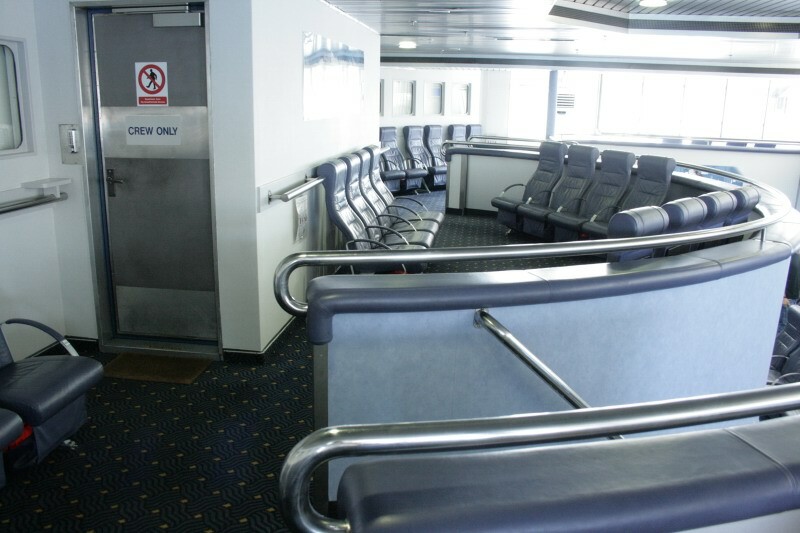 And woe betide anyone who decided they might need to use the toilet facilities in passage. Suffice to say, it was possible, but only if you really were desperate. 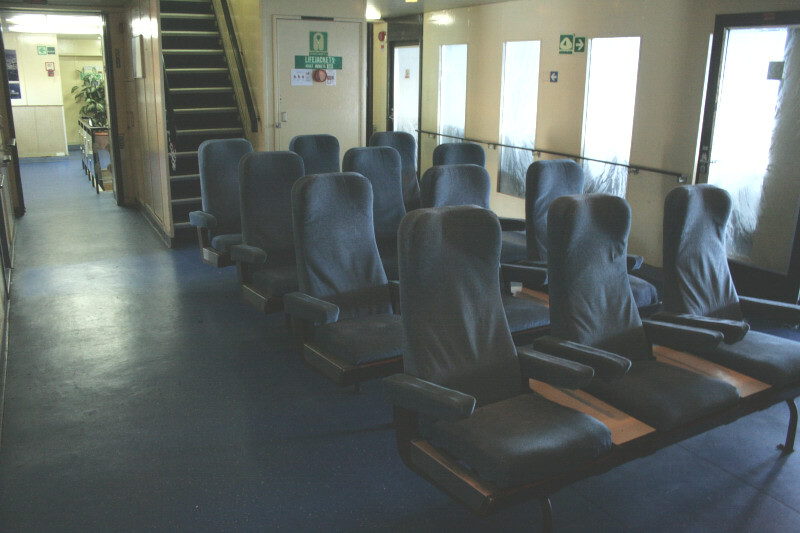 The best thing to do was settle down with a book in a quiet corner (preferably out of the way of funnel smuts) or have a snooze. 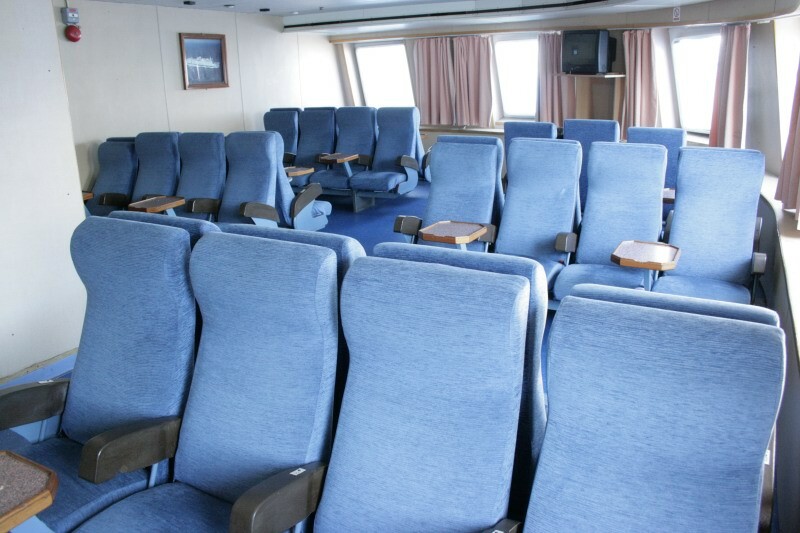 If the heat became too much, it was time to head inside and snuggle down in one of the reclining seats on the upper deck. 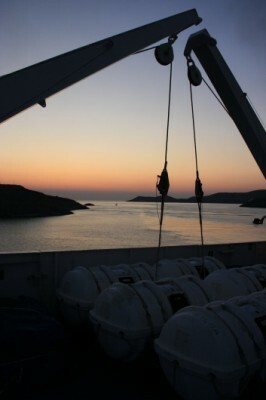 Time soon passed, and the sun was setting as we arrived at Kythnos. Somewhat inevitably, the Romilda lost more time en route to Piraeus and it was well past midnight before we finally disembarked; just before getting off, I did a quick tour to grab images of those places which had been too busy to photograph mid-crossing. 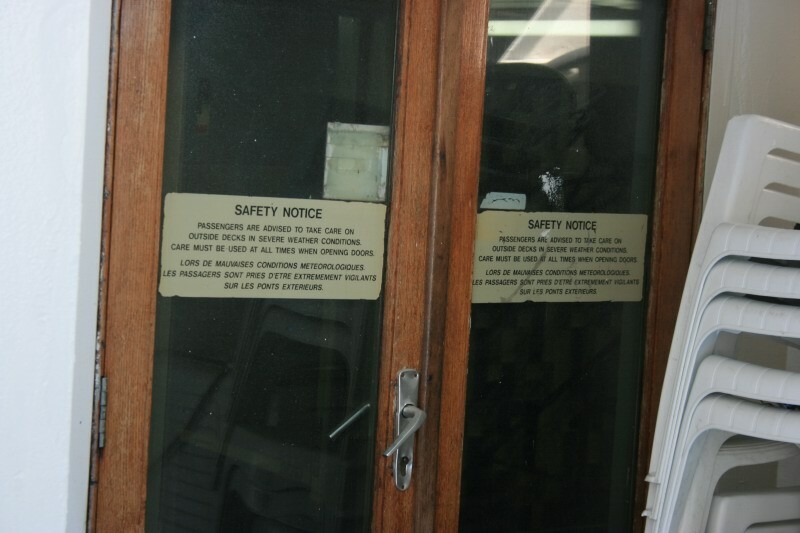 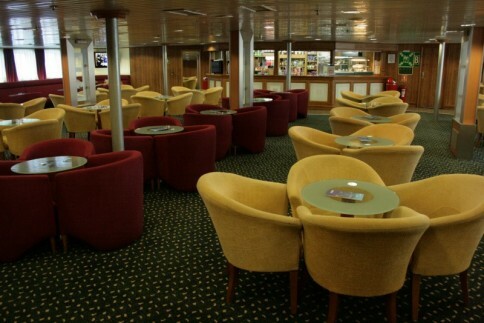 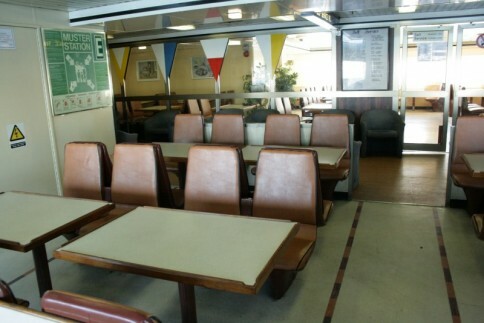 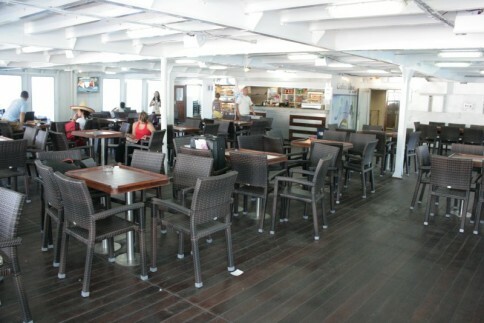 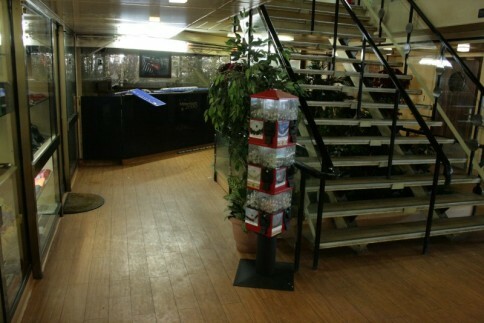 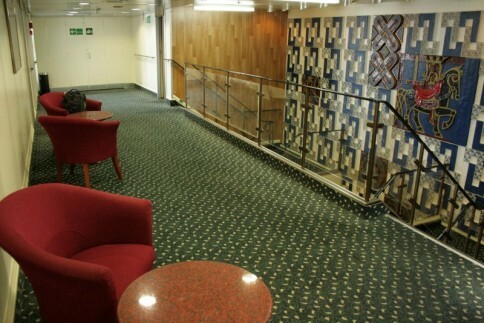 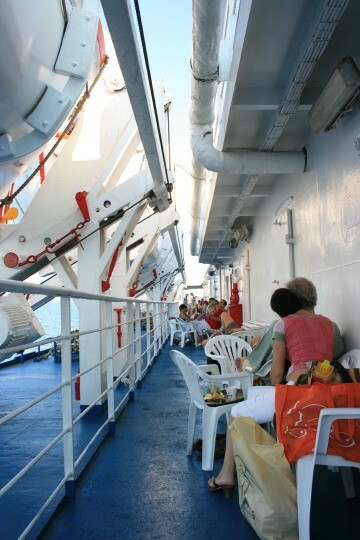 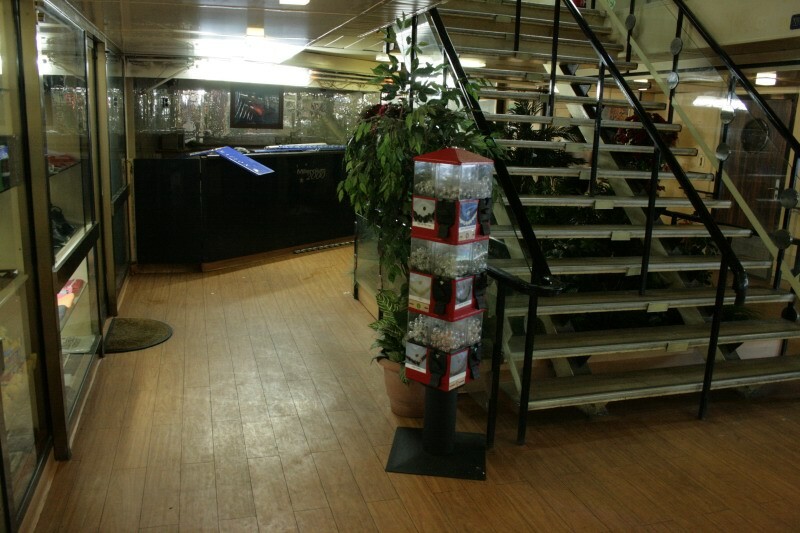 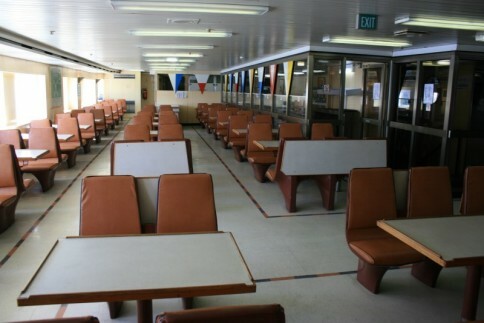 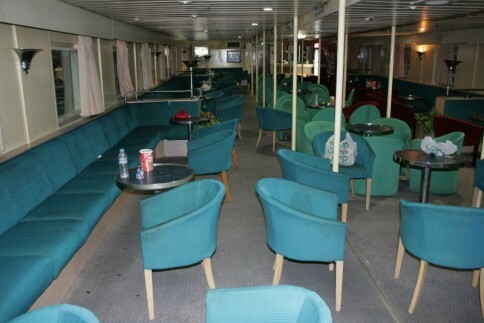 The upper deck lounge (latterly Club Class with P&O) remained resolutely locked â€“ this seems to be the near-permanent situation and in the past couple of years theyâ€™ve also locked off the aft outside deck on this level. 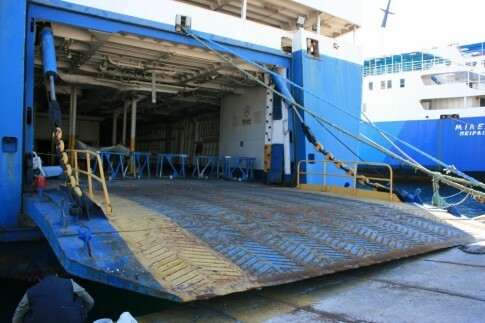 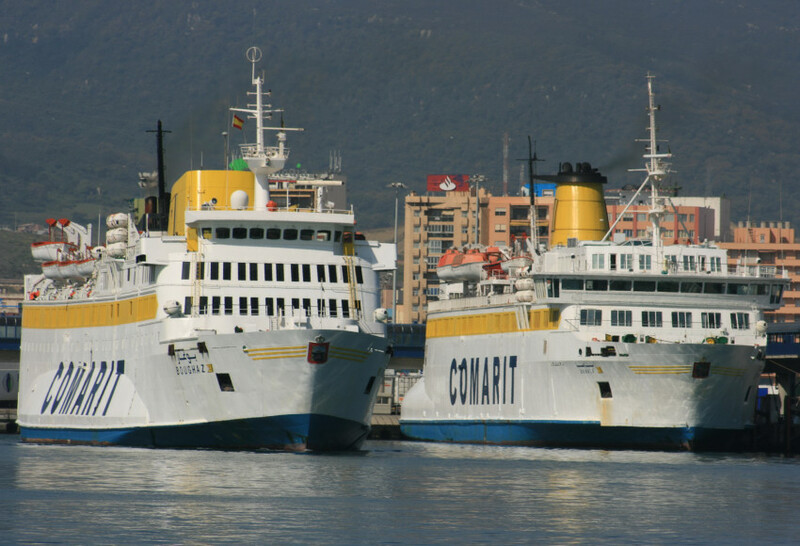 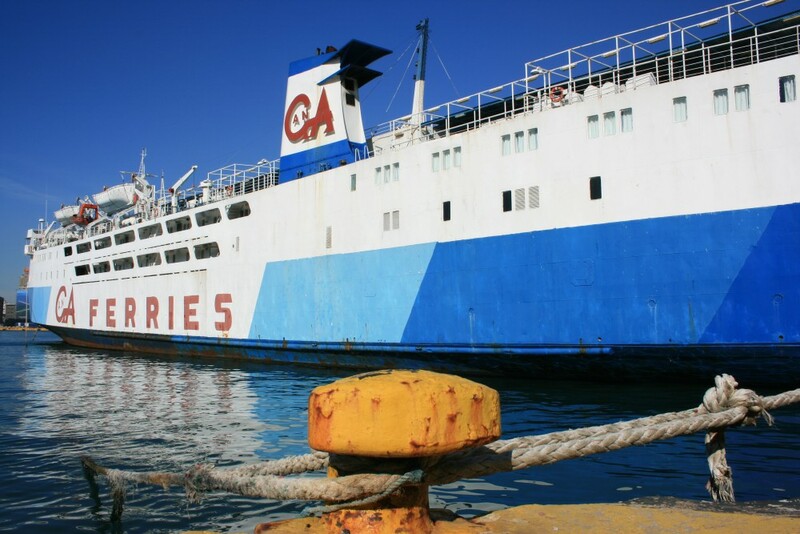 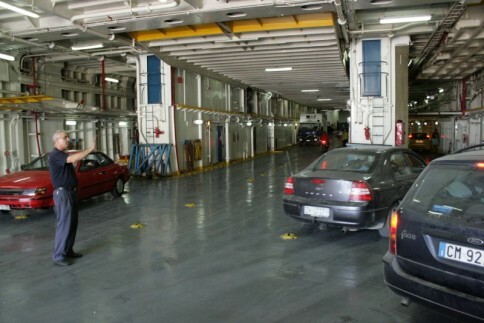 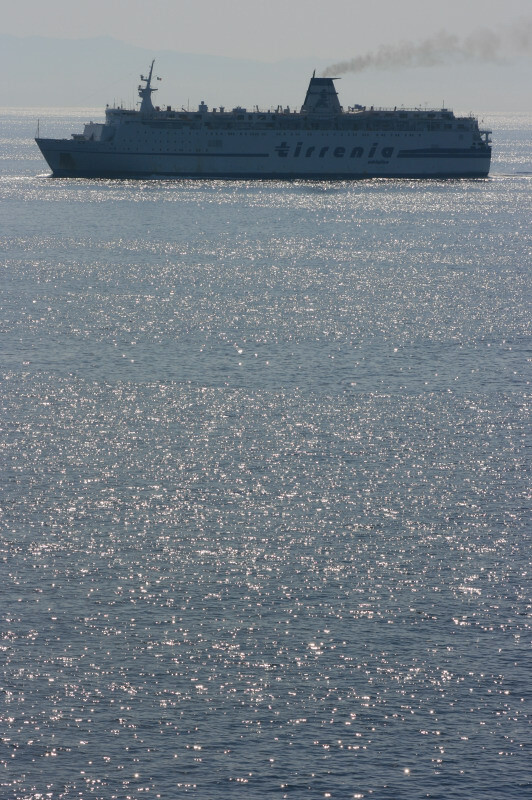 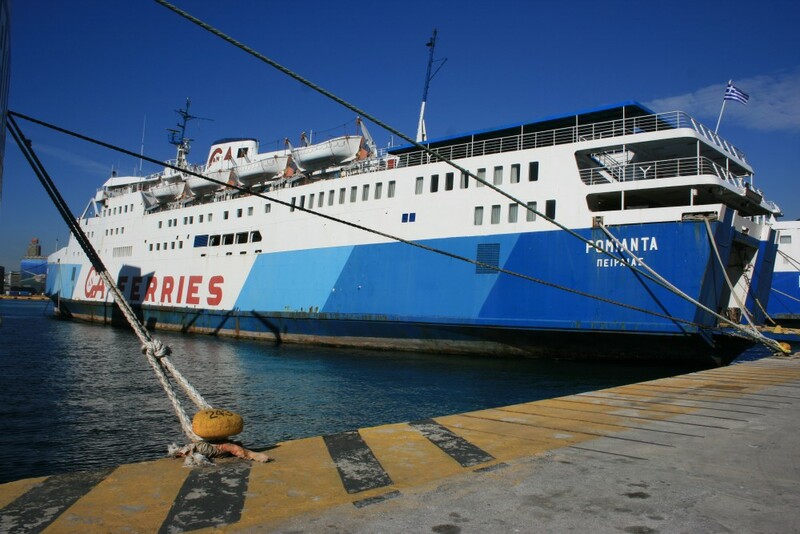 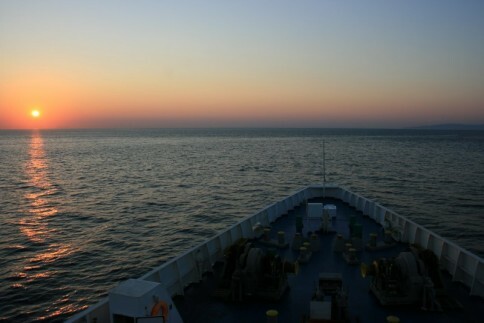 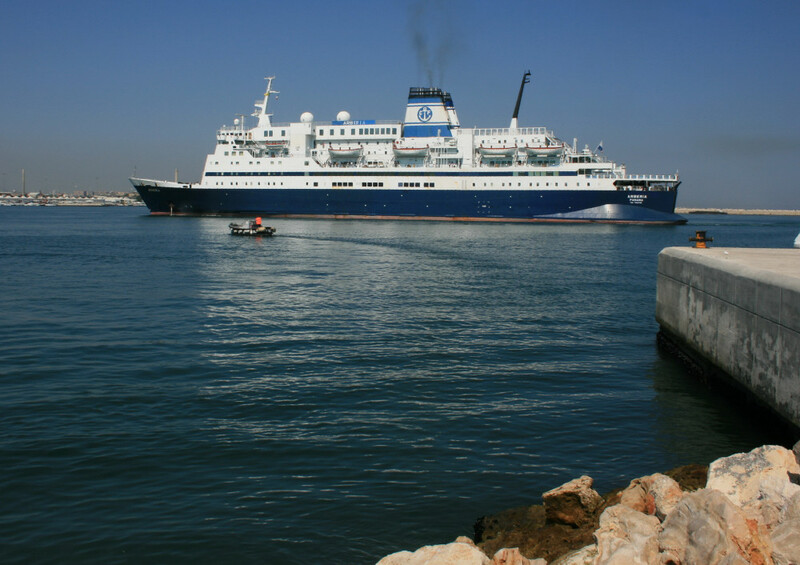 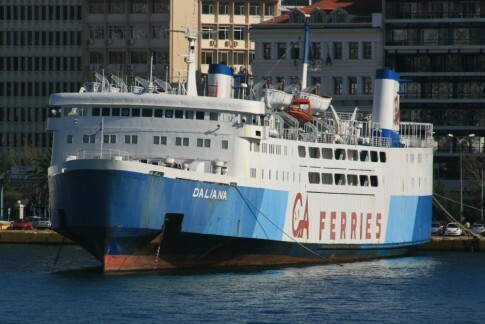 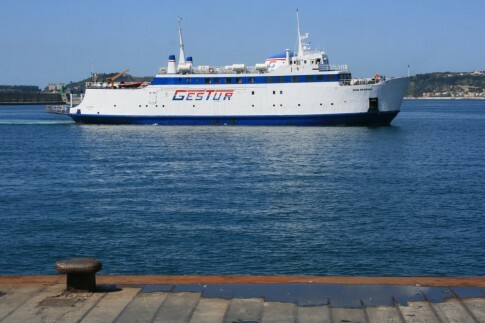 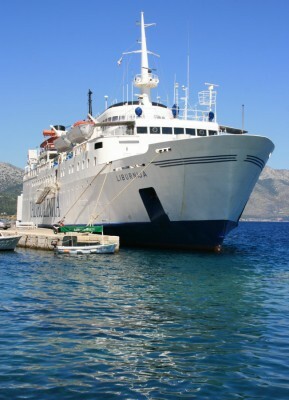 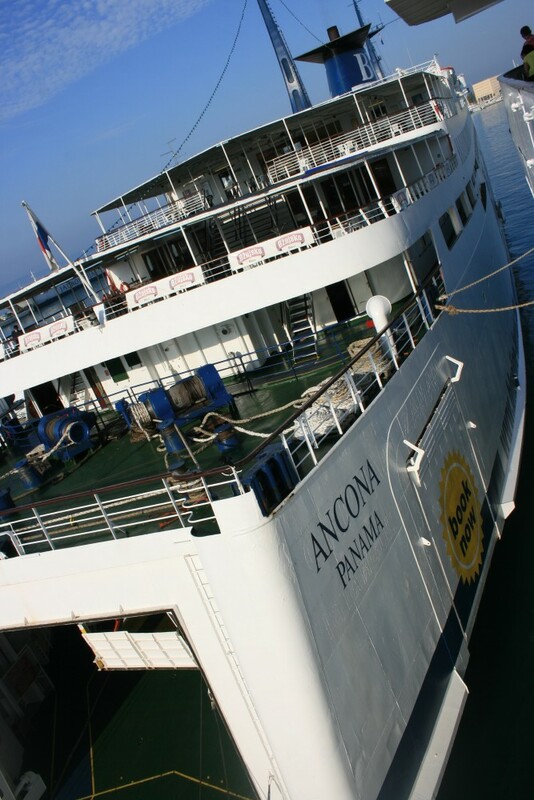 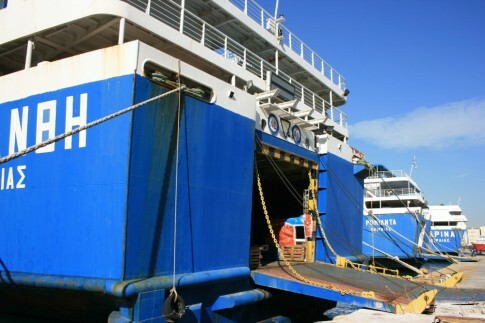 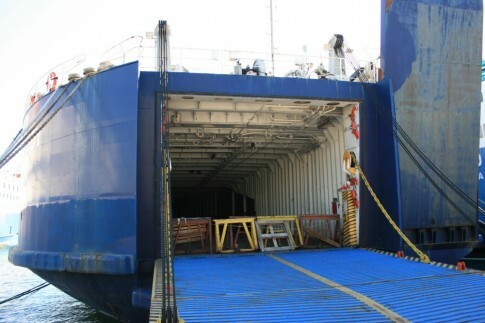 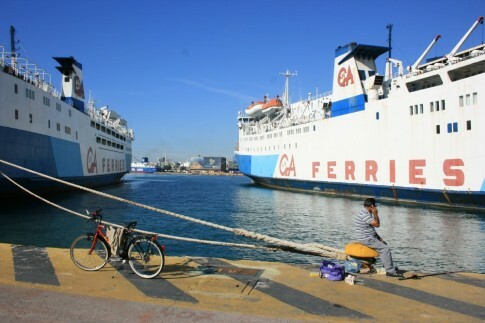 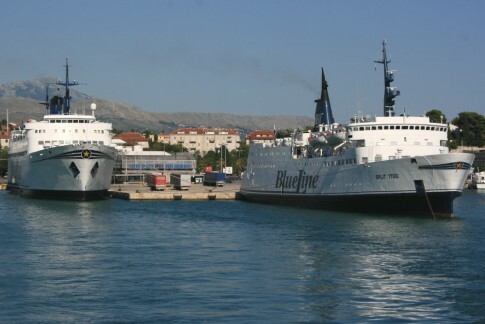 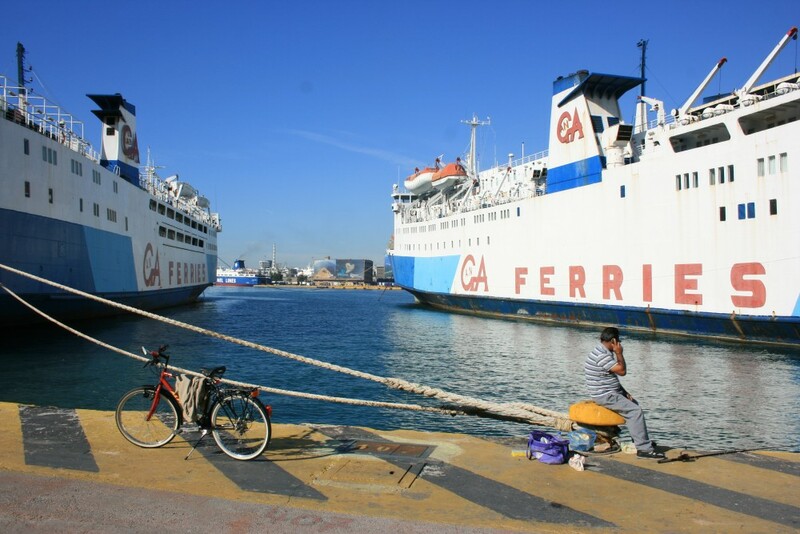 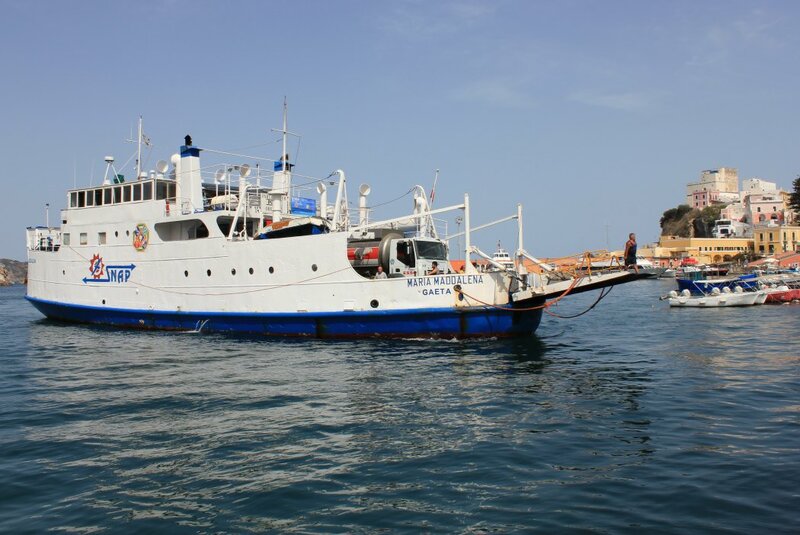 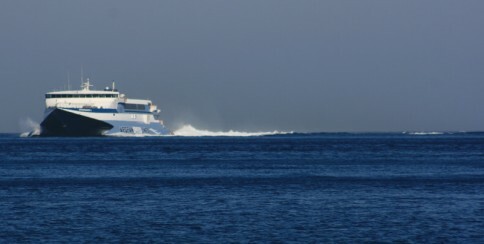 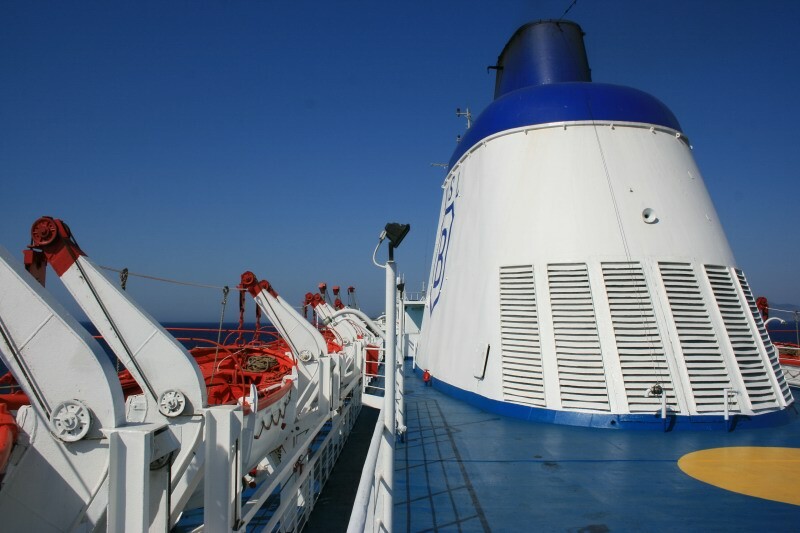 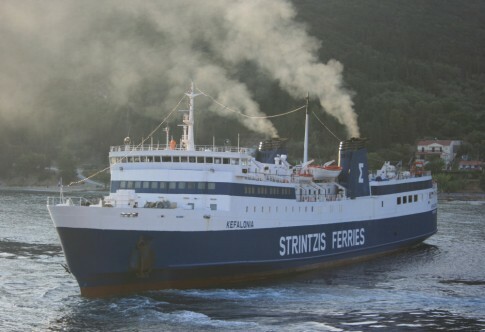 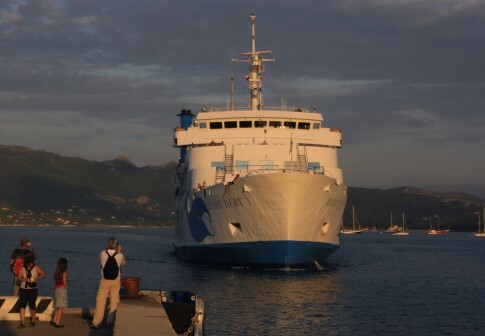 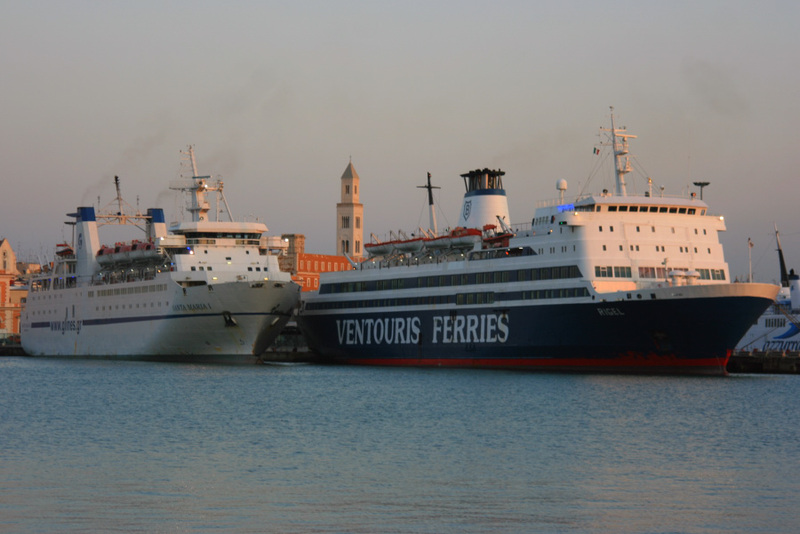 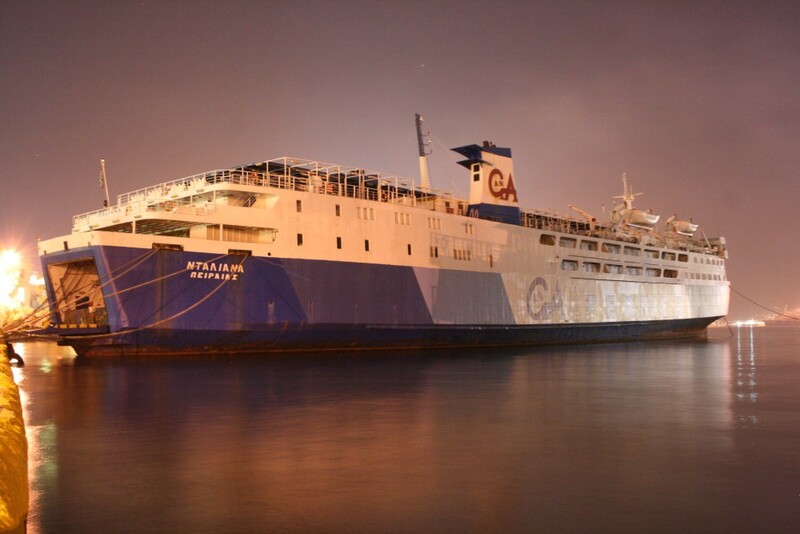 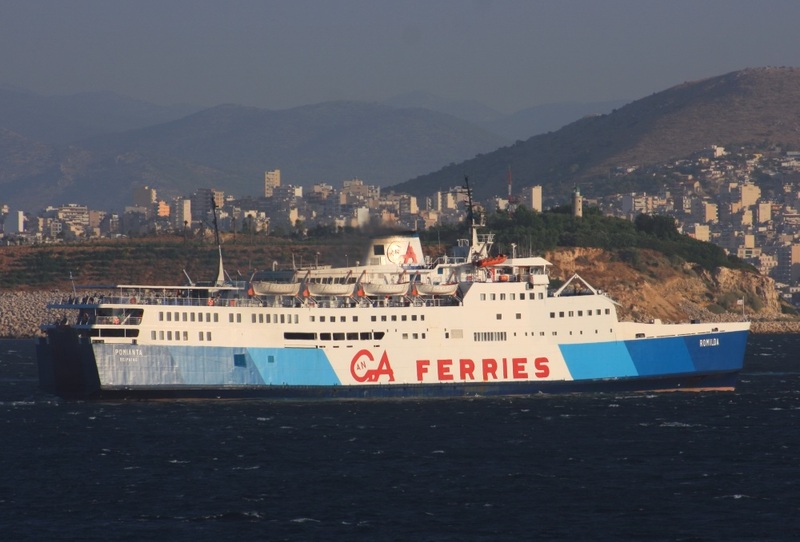 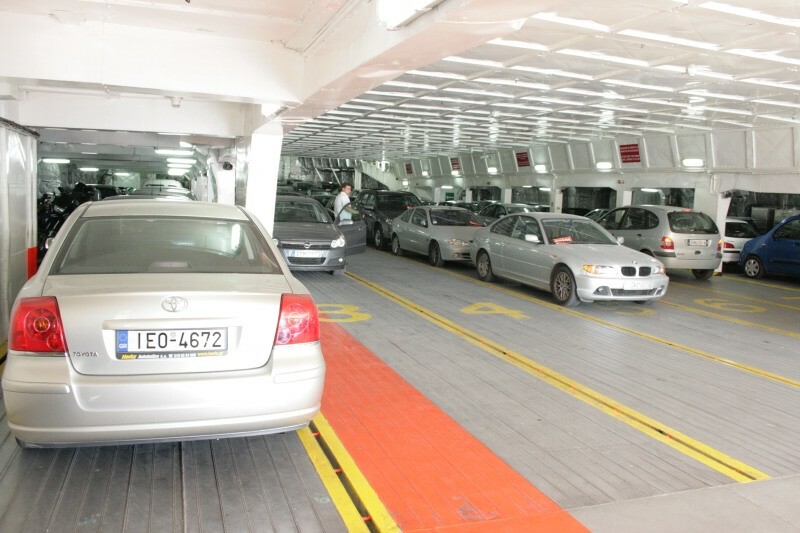 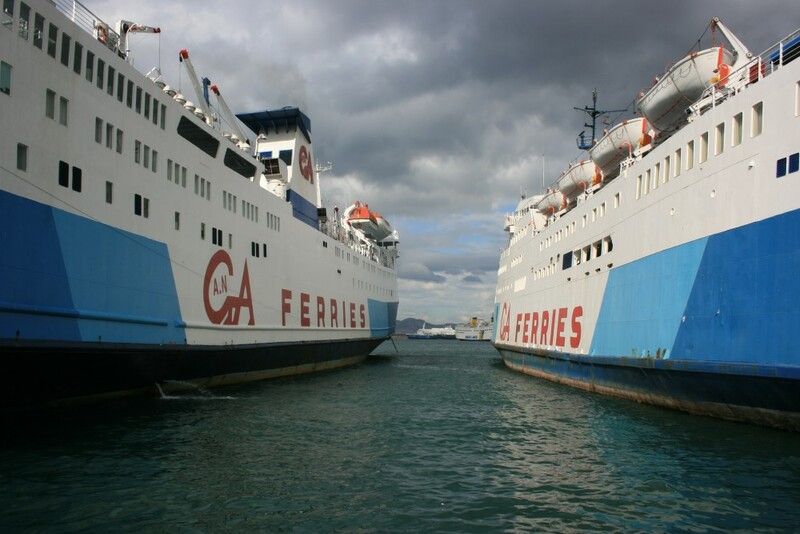 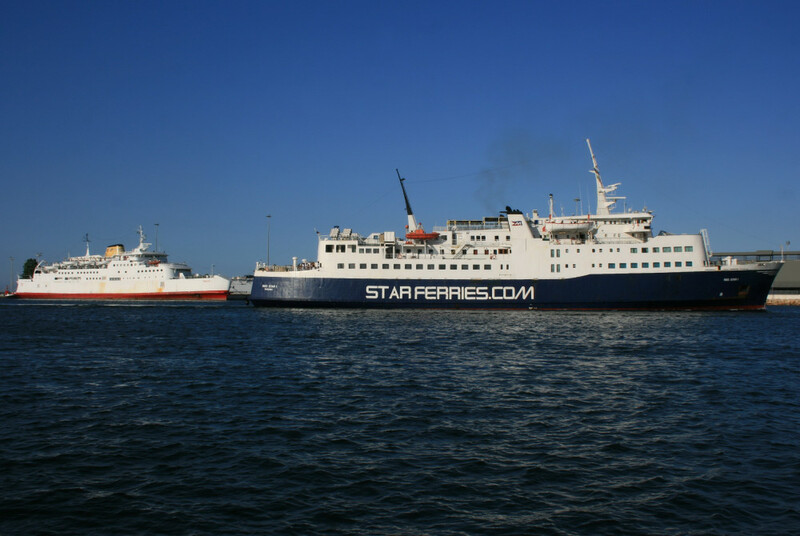 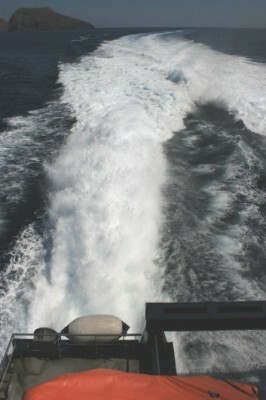 As of February 2009 the Romilda and Agios Georgios remain operating for GA Ferries and Ventouris Sea Lines respectively. The Speedrunner I was sold by Aegean Speed Lines in early 2008 and spent that year’s Summer running day cruises out of Rethimnon in Crete under the name Sea Runner; ASL continued operations with the Speedrunner II operating alone.